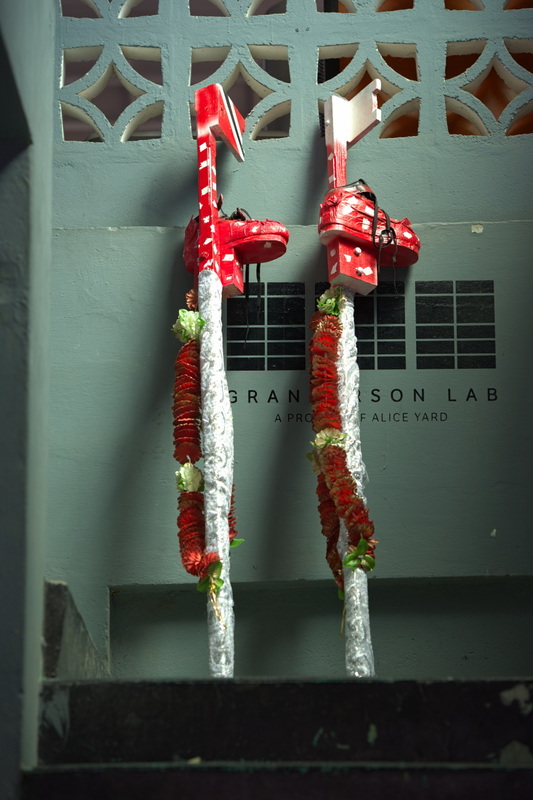 It’s a bright, dry Carnival Monday morning at Granderson Lab, Belmont. 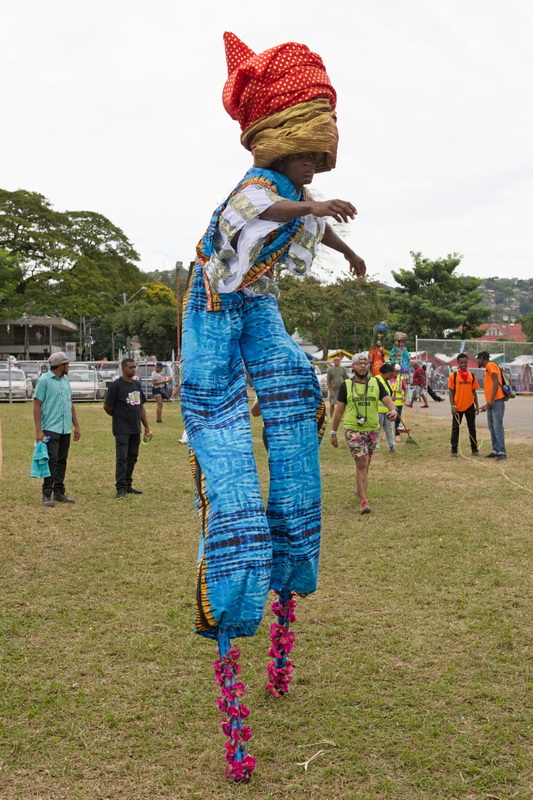 With the Queen’s Park Savannah several blocks away, the would-be stillness of the early day is undertoned by the distant, barely-audible thumping of the Savannah’s massive, bass speakers. 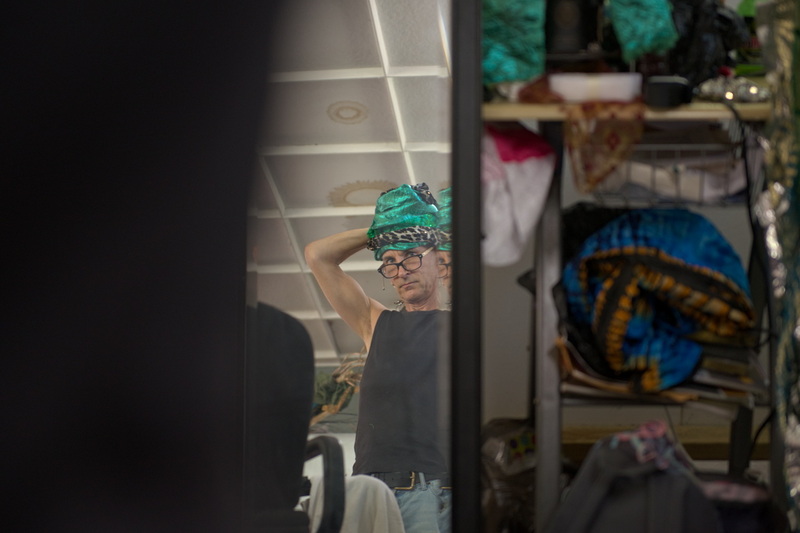 It’s as though the chaos of the day to come is being foreshadowed. 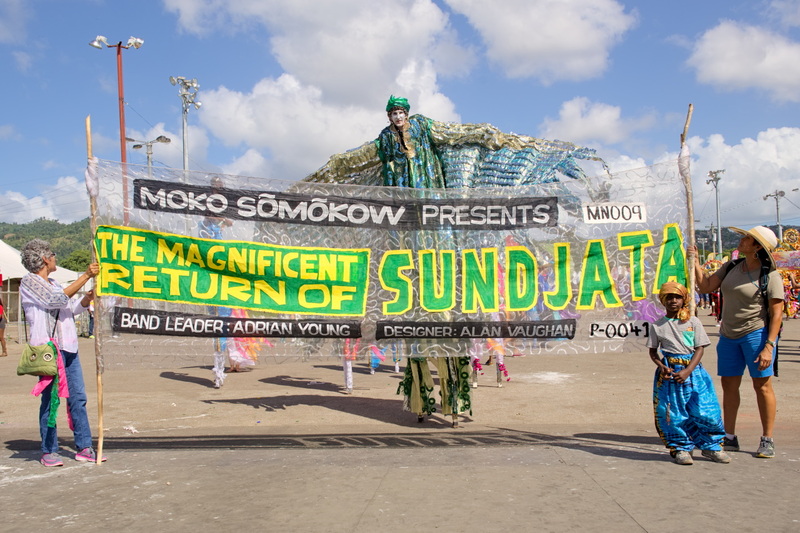 In a few hours, Moko Somõkõw will hit the road in full force! 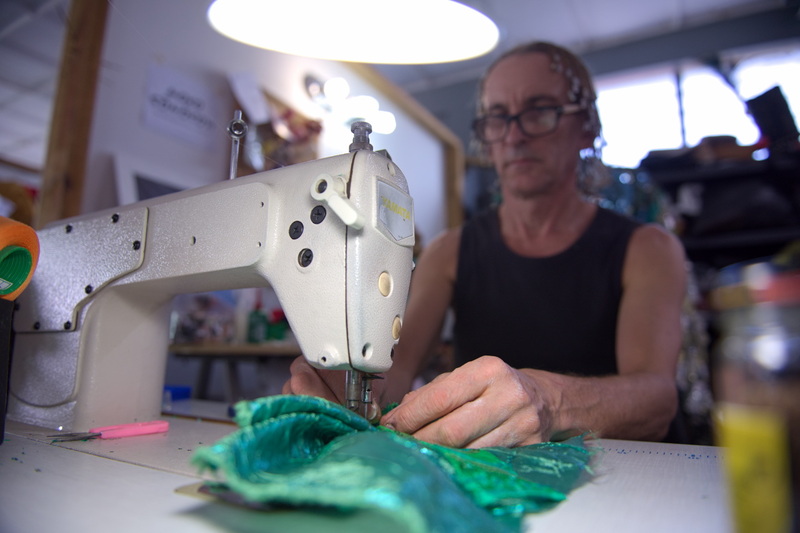 Alan Vaughan, designer and one of main visionaries behind Moko Somõkõw, sits at a work station, lit by a sewing machine lamp. 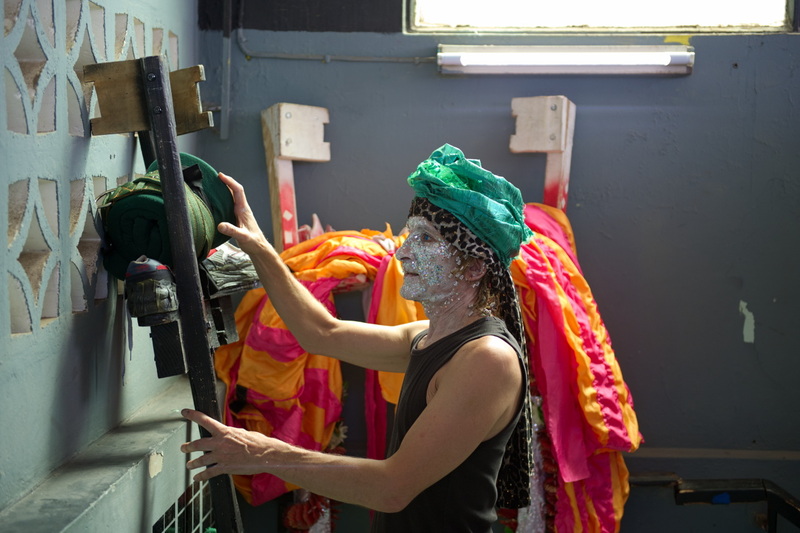 He’s been at at work since the small hours of the morning, driven to get everything right in time for the band’s moment to cross the Savannah stage. 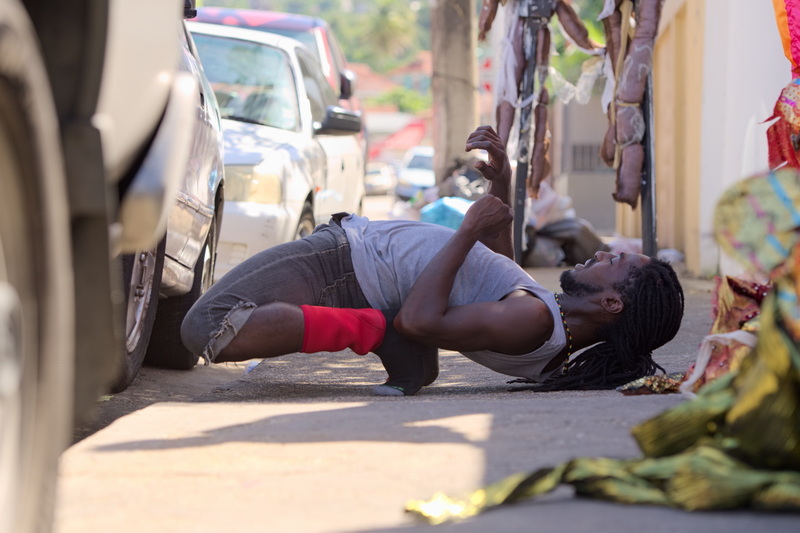 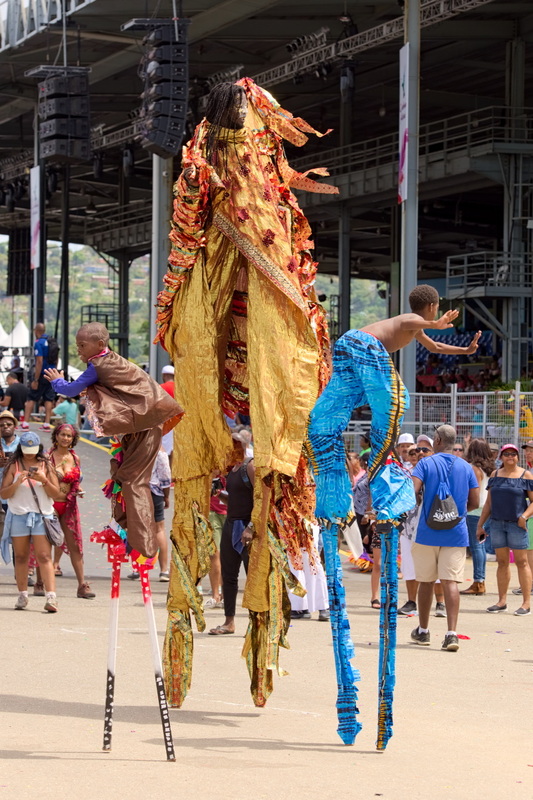 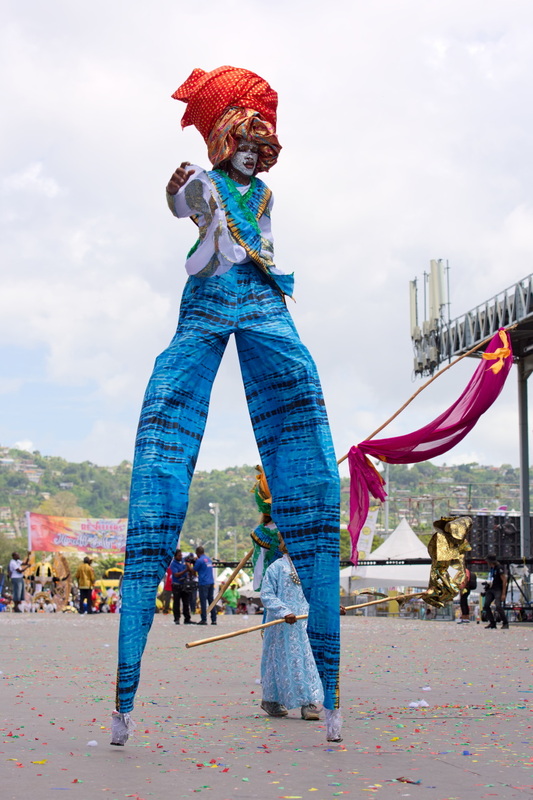 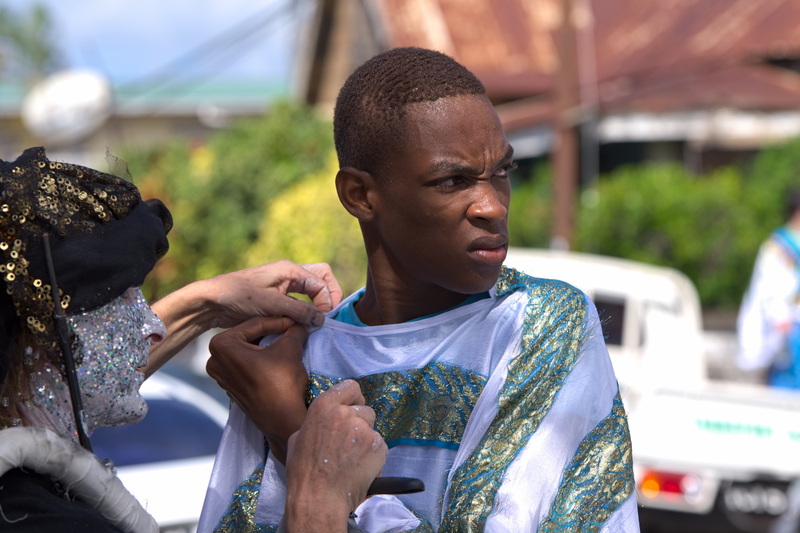 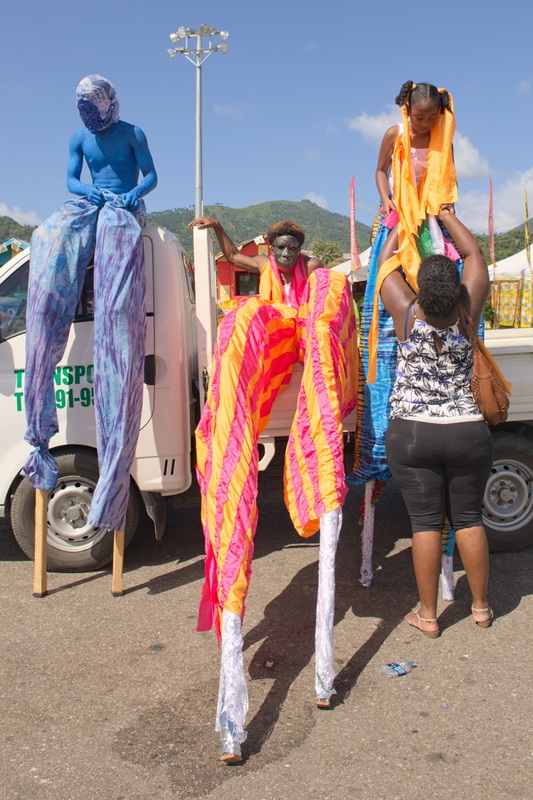 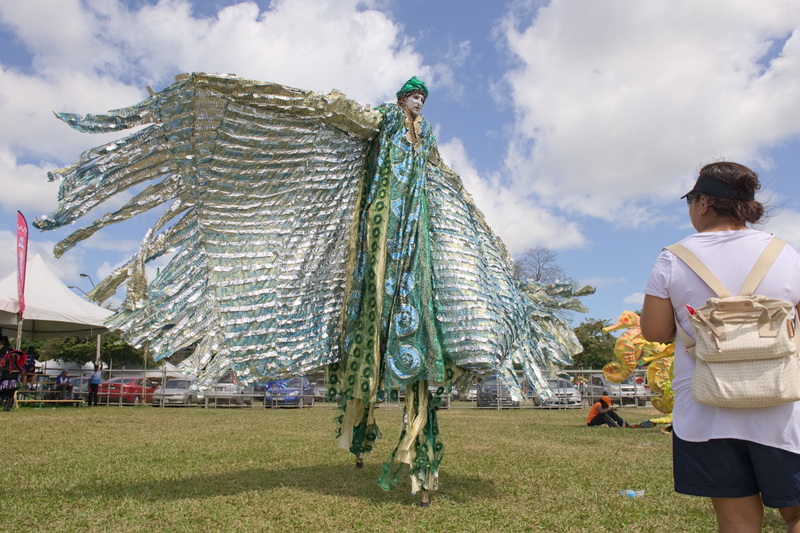 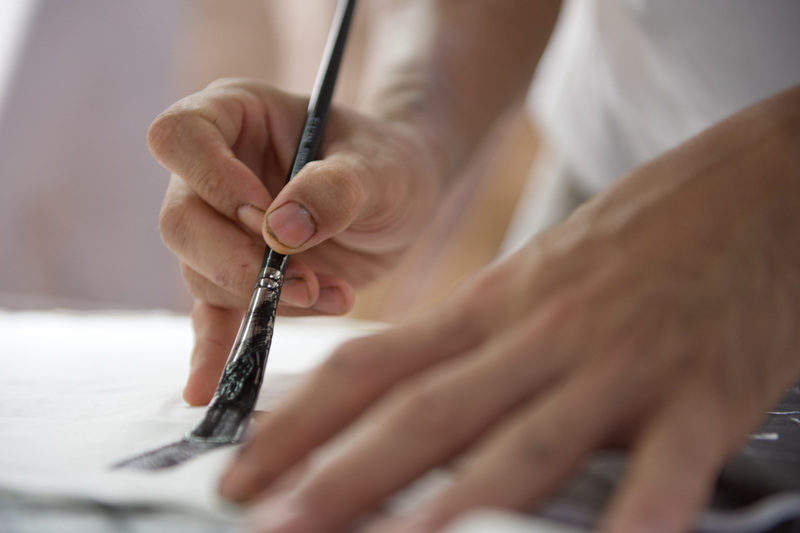 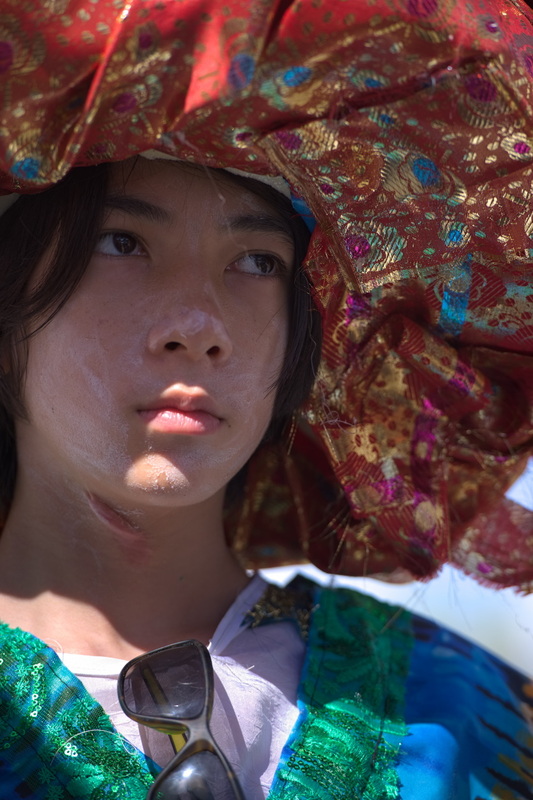 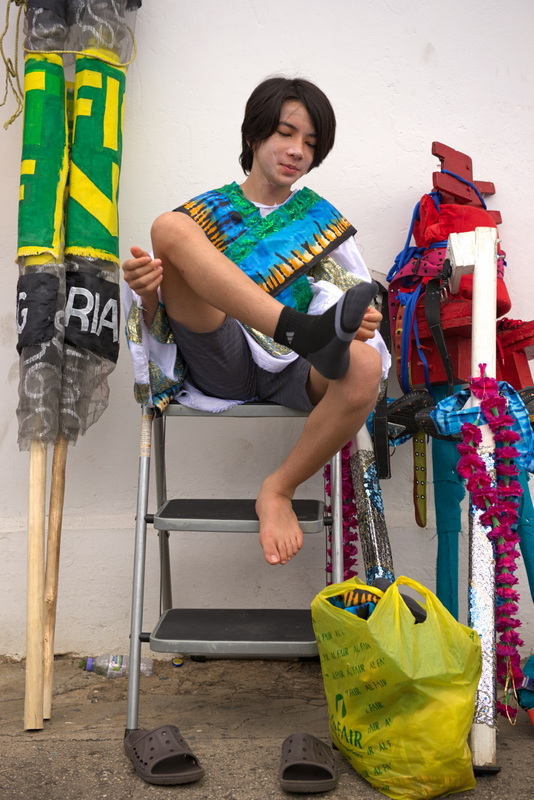 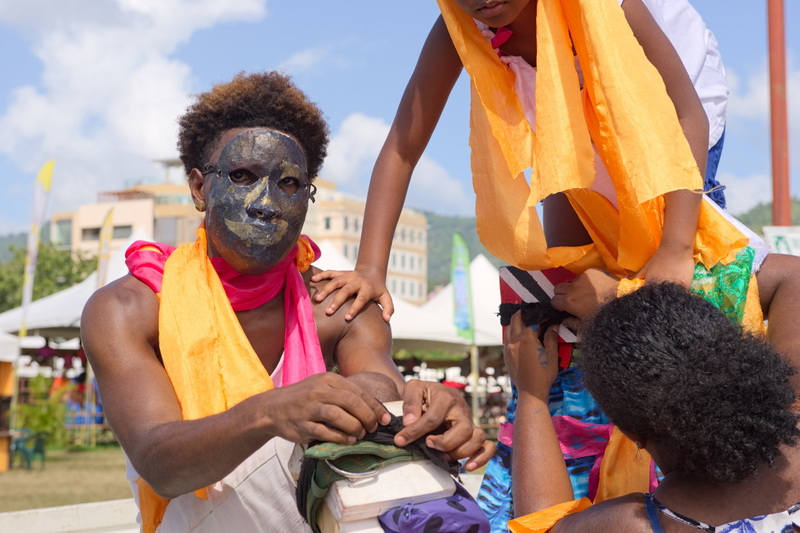 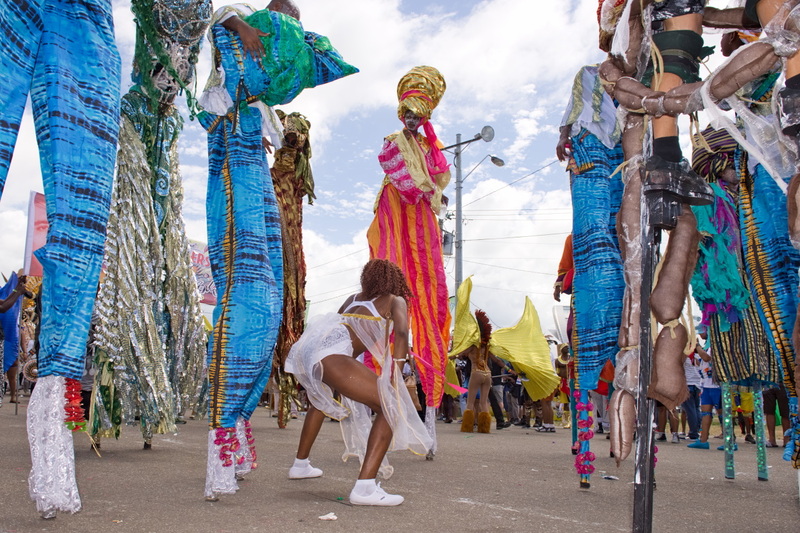 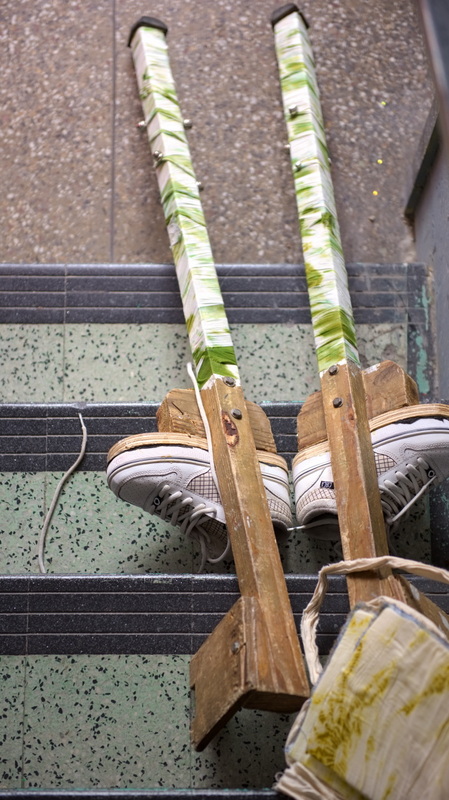 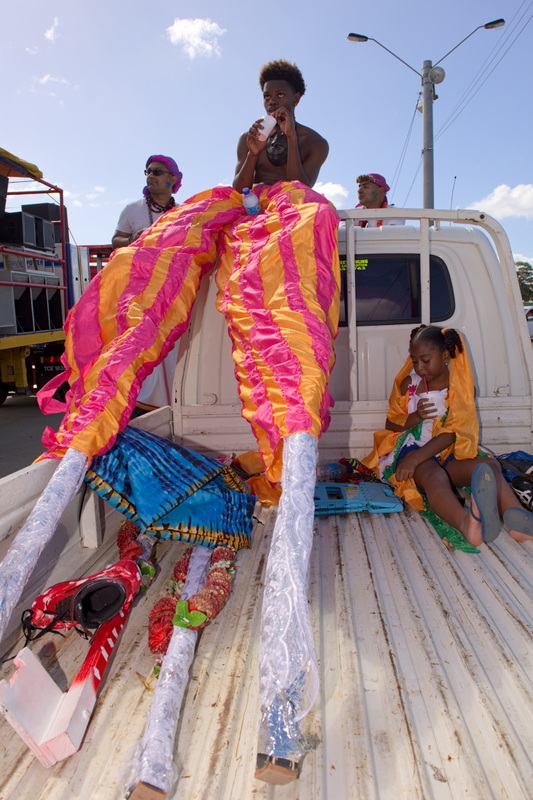 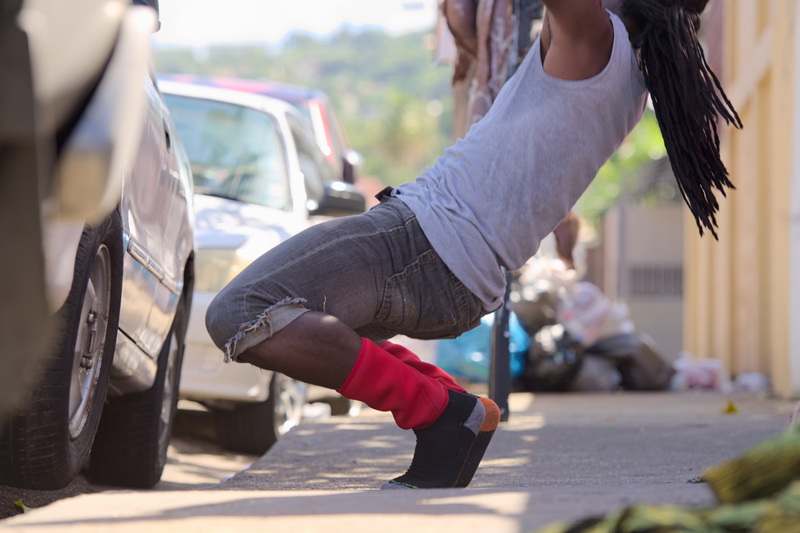 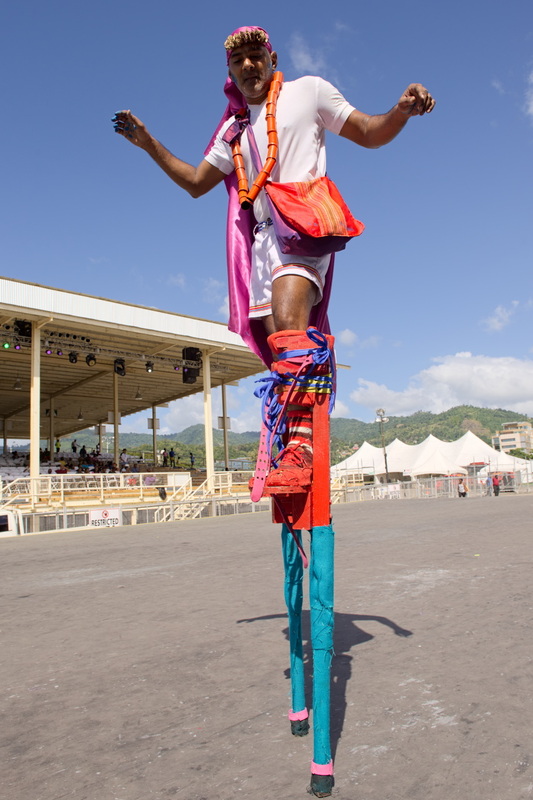 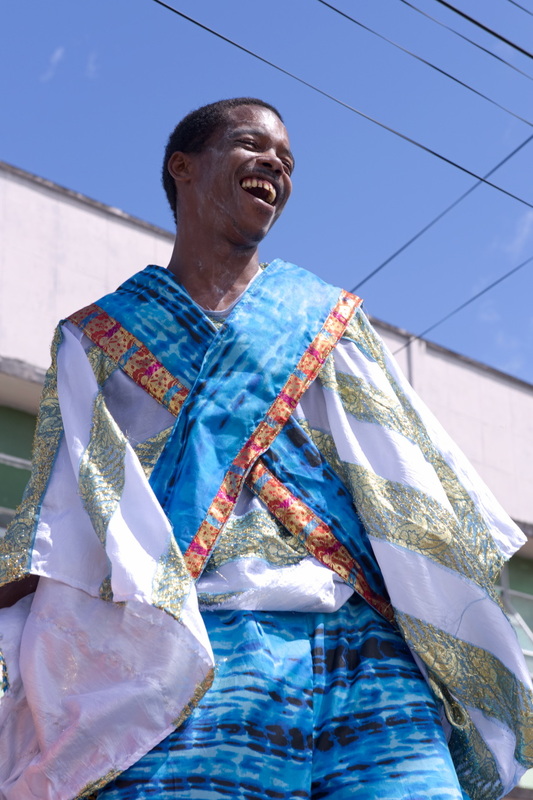 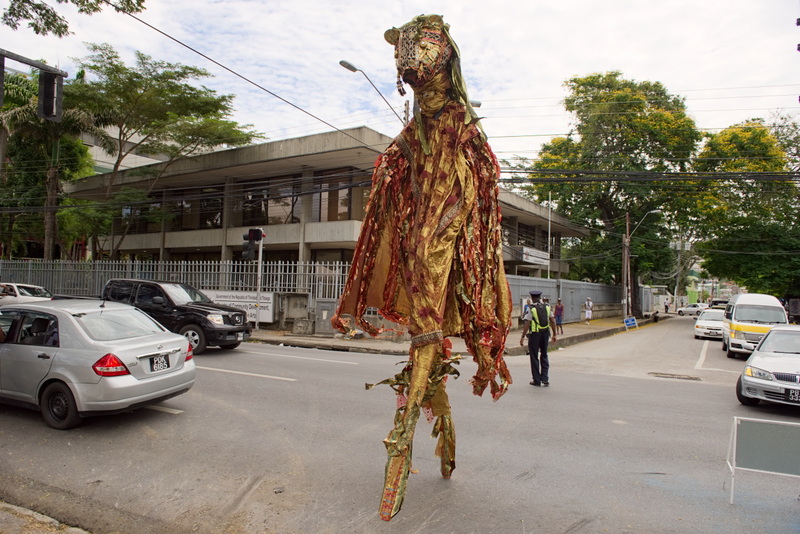 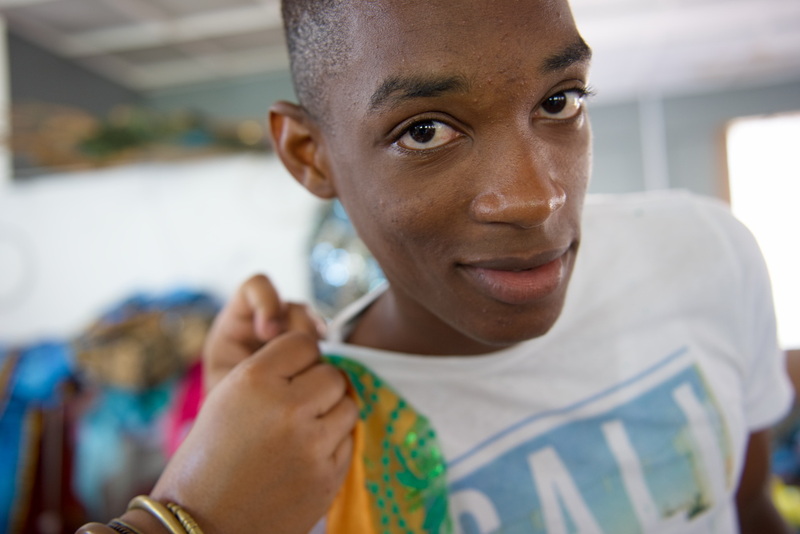 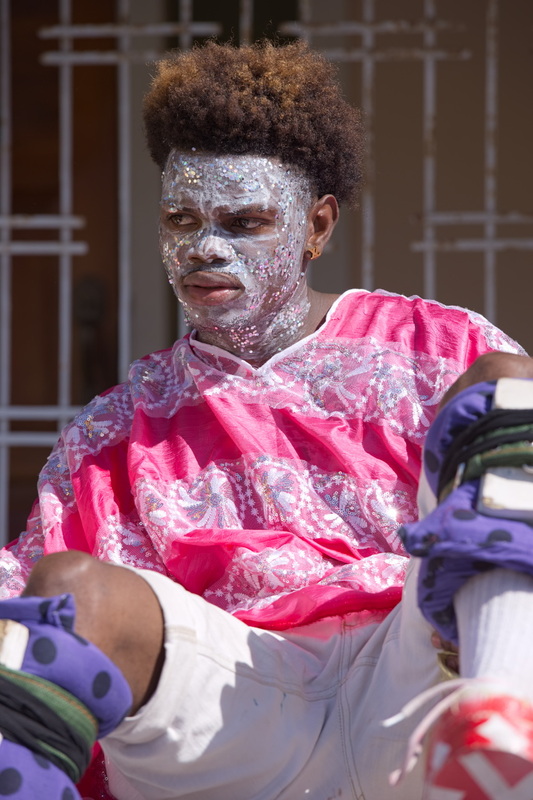 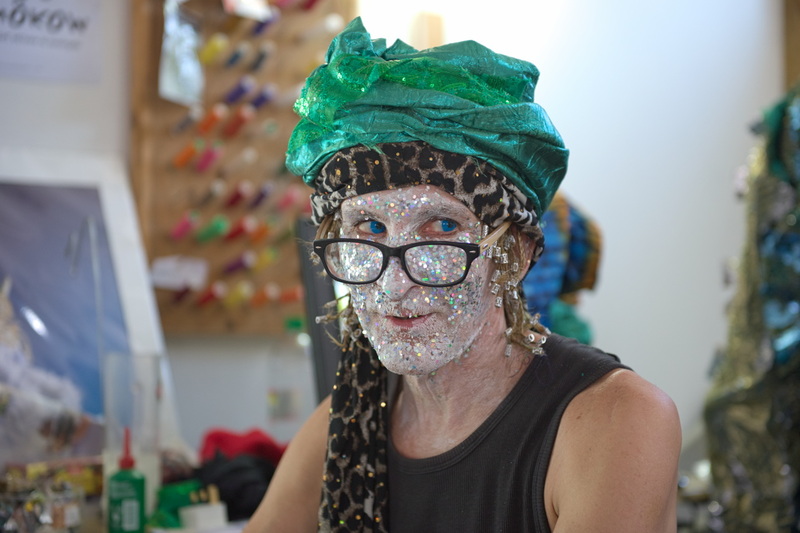 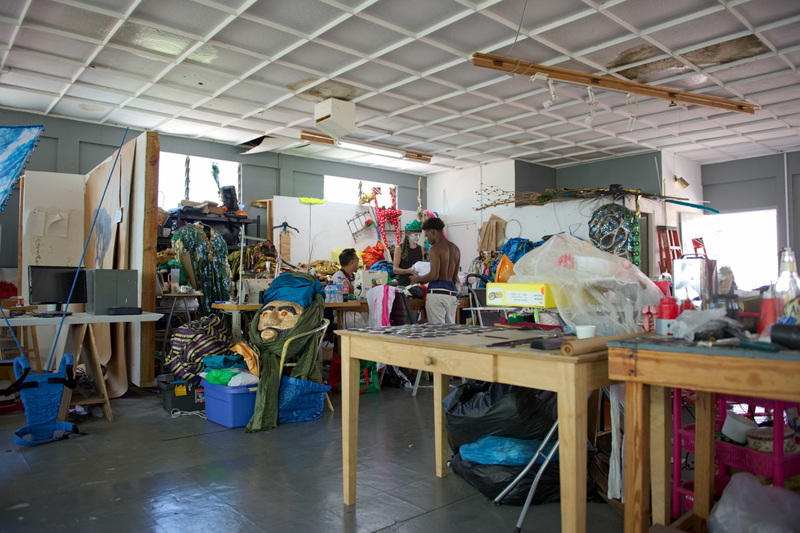 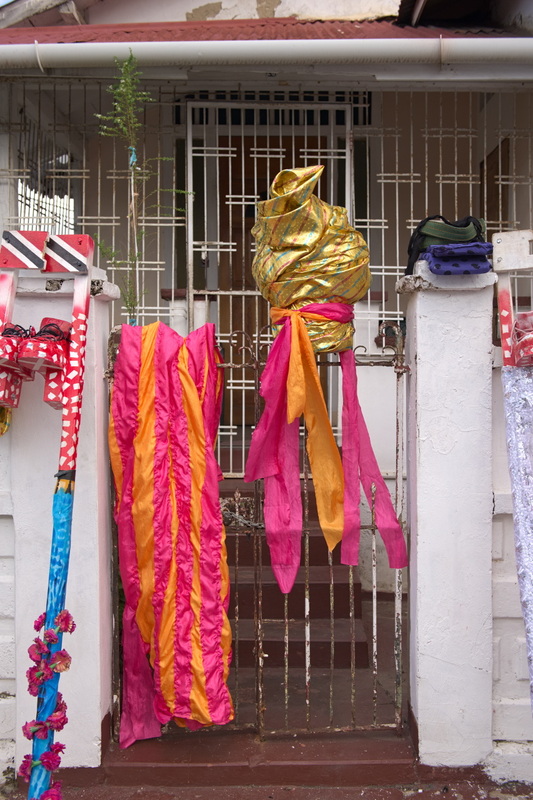 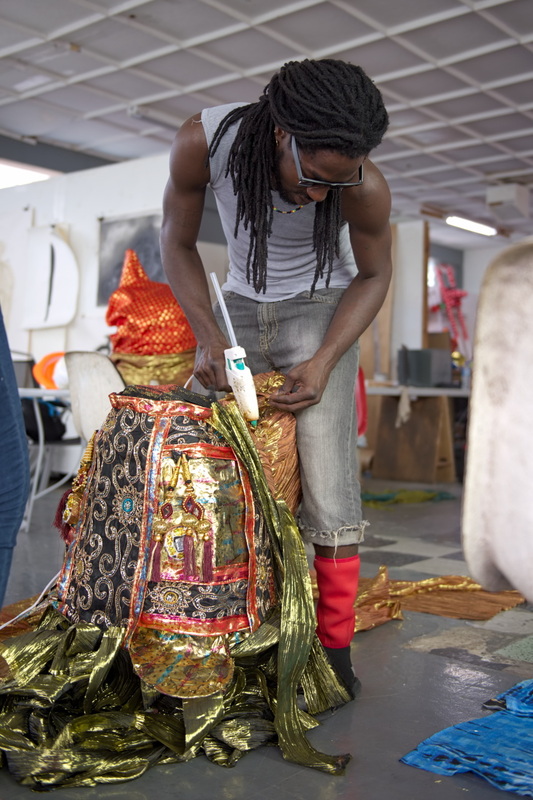 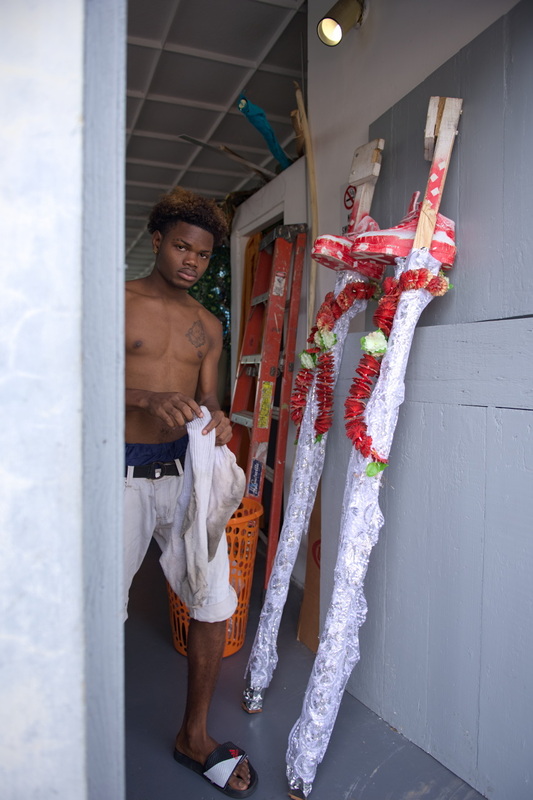 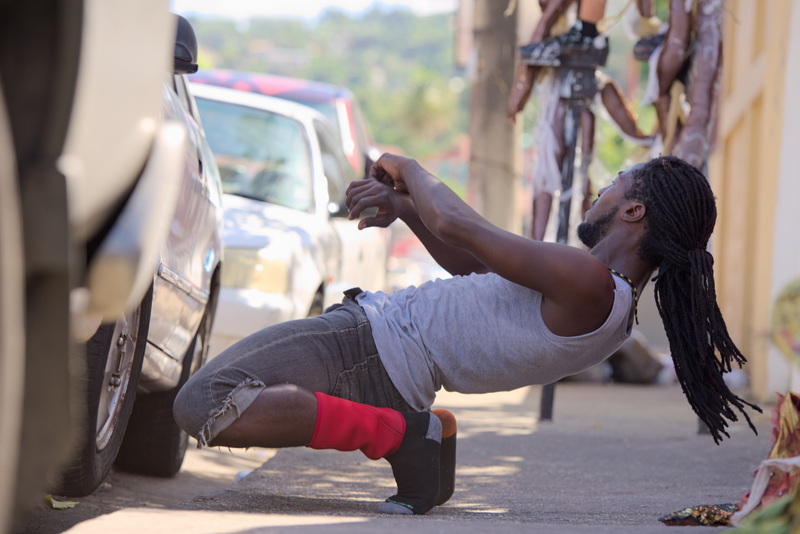 Shervon Clarke, a teenage stiltwalker, is wordlessly decorating and repairing his and a few other sticks. 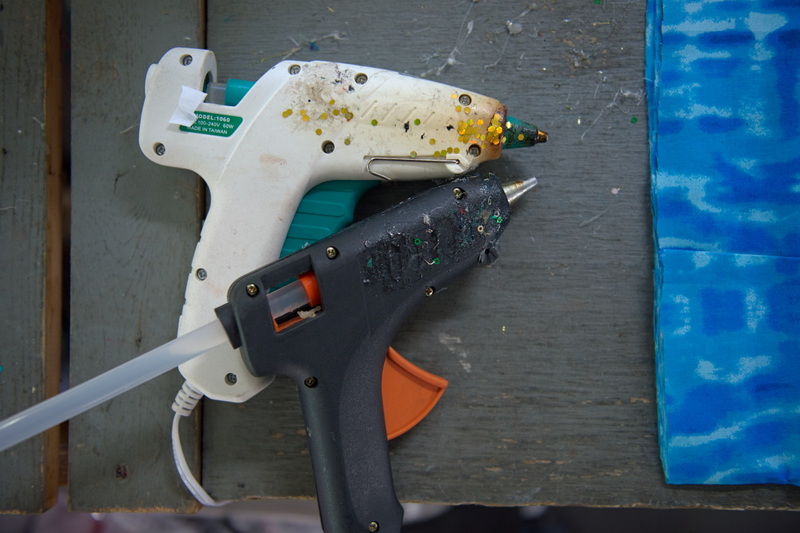 The sound of his staple gun punctuates the whirring of Alan’s machine. 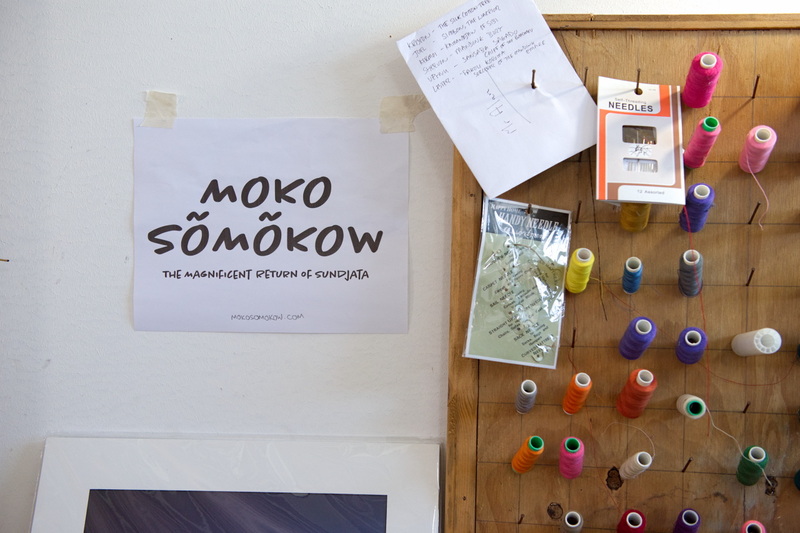 ‘Moko Somõkõw’ is derived from the Bambara language (‘moko somɔgɔw’) and means ‘Moko Family’. 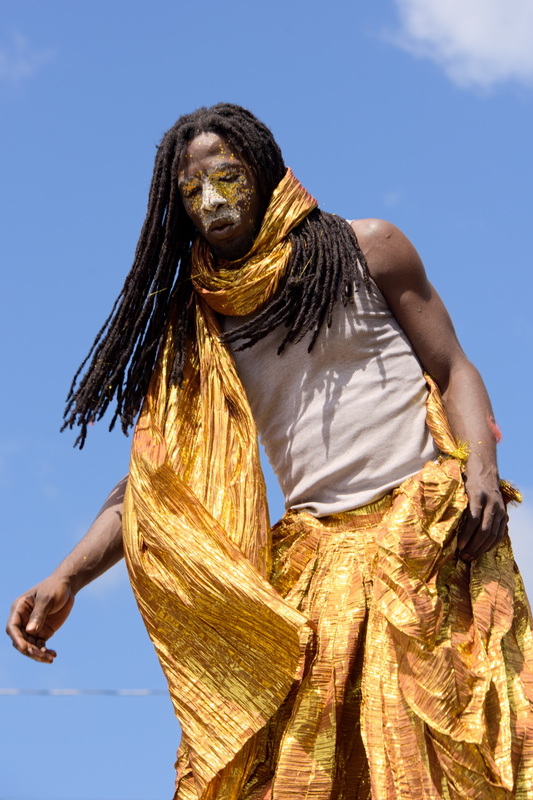 The masband intends at being “a collection of individuals who [like] the idea and [want] to play a mas together.” The final lineup features moko jumbies from #1000mokos (now called ‘Sticks in de Yard‘) and Future Jumbies. 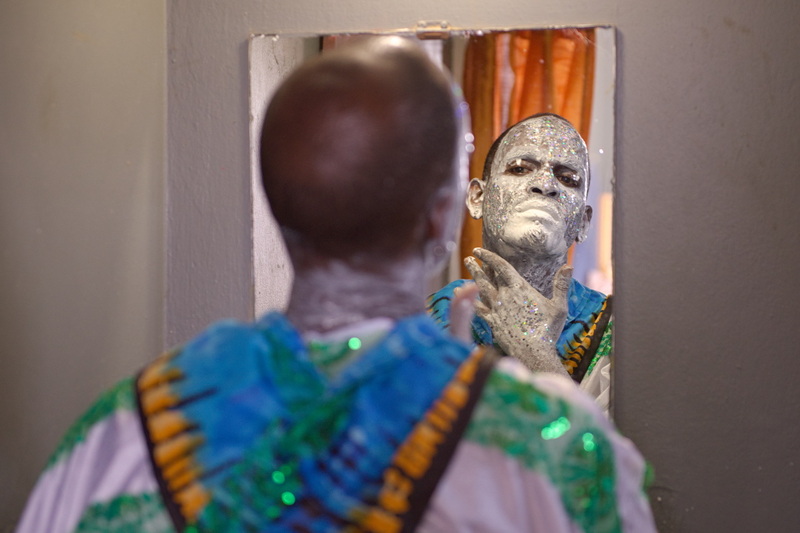 Daddy Jumbie, also known as Adrian Young, is band leader. 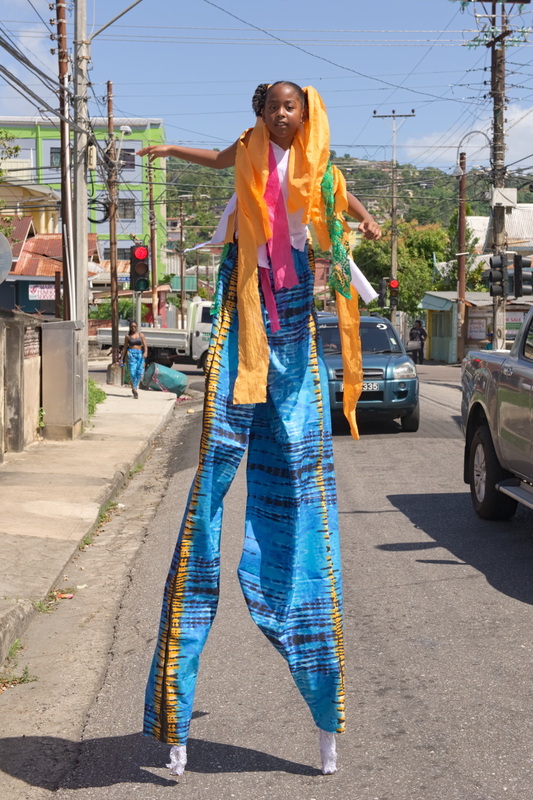 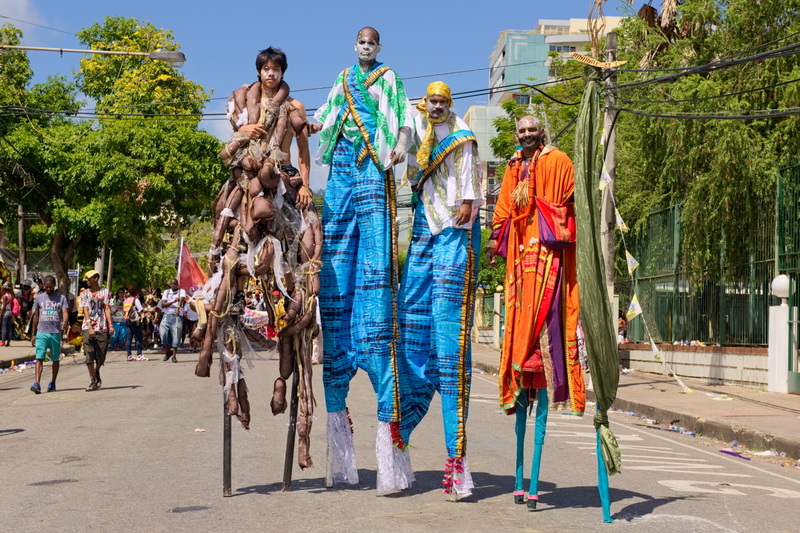 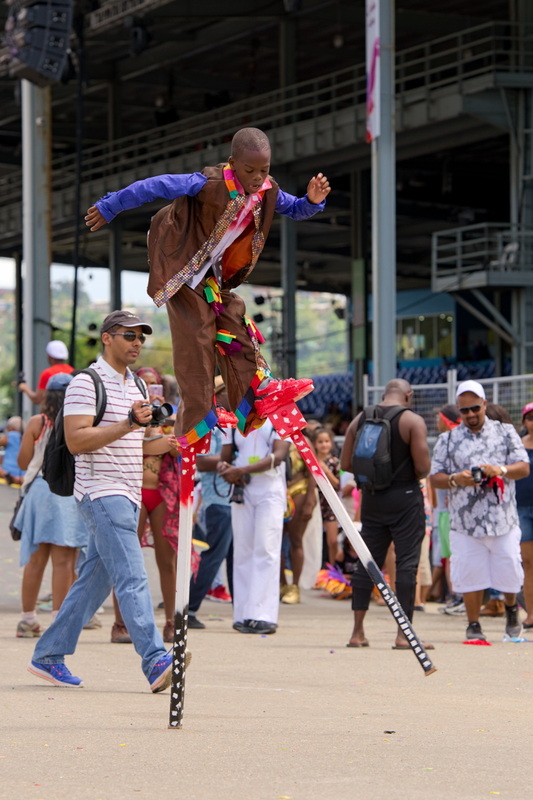 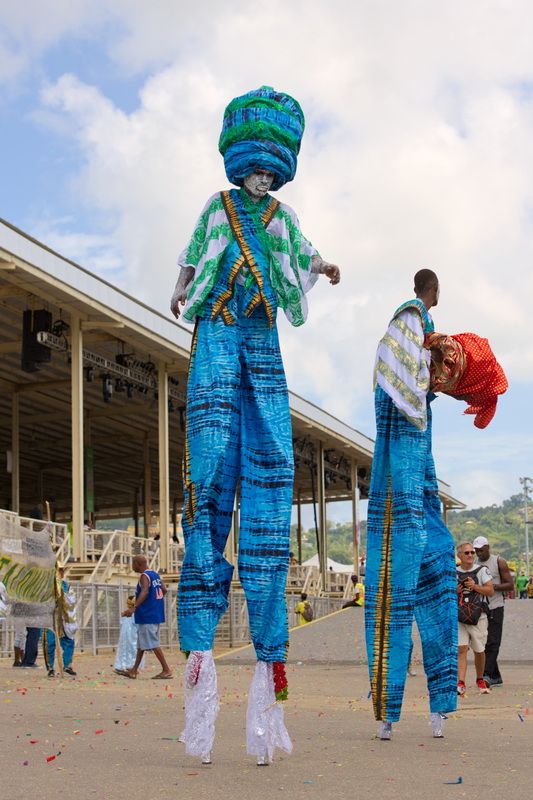 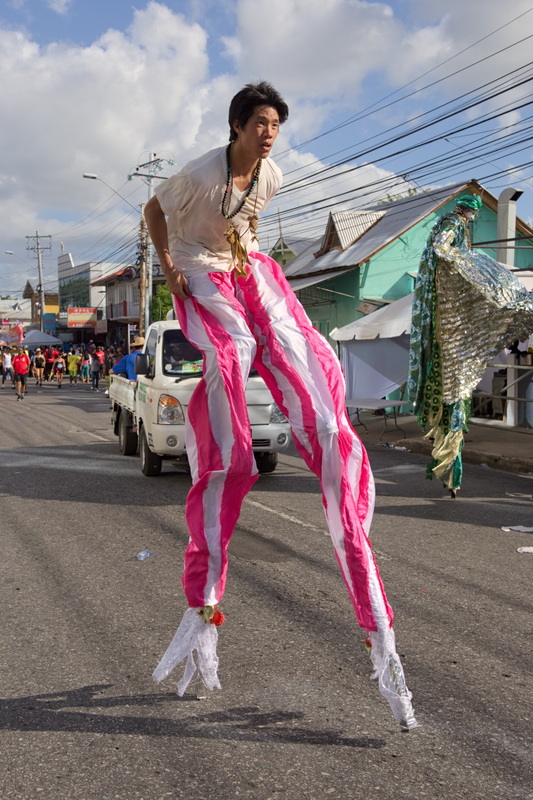 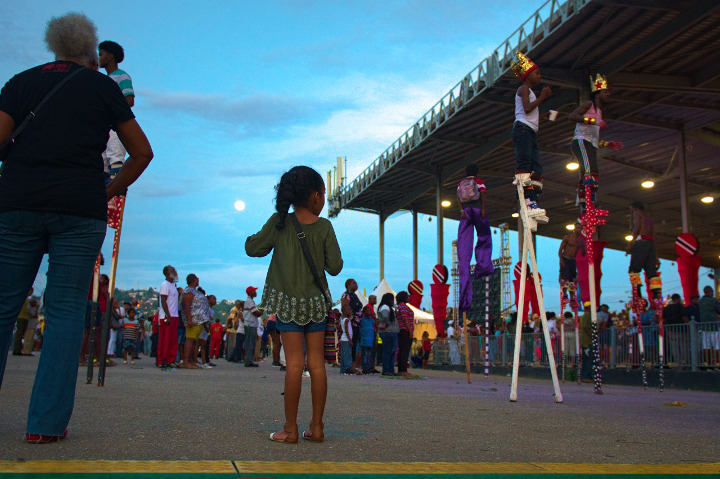 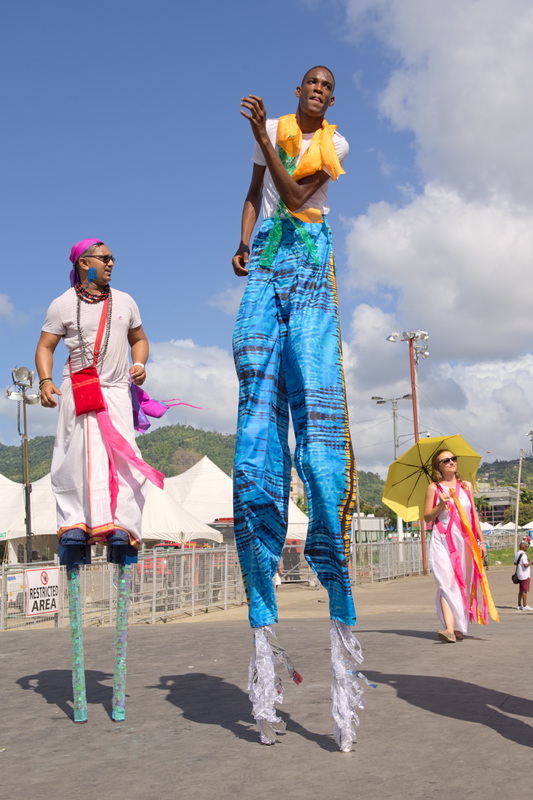 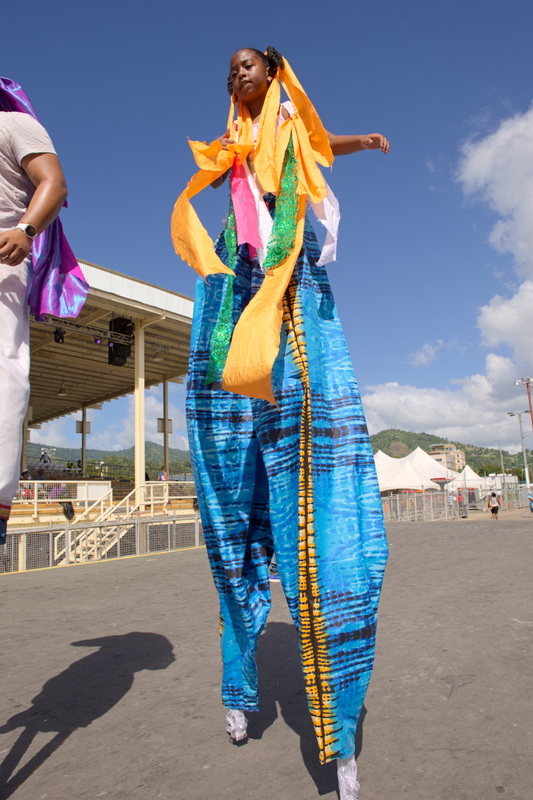 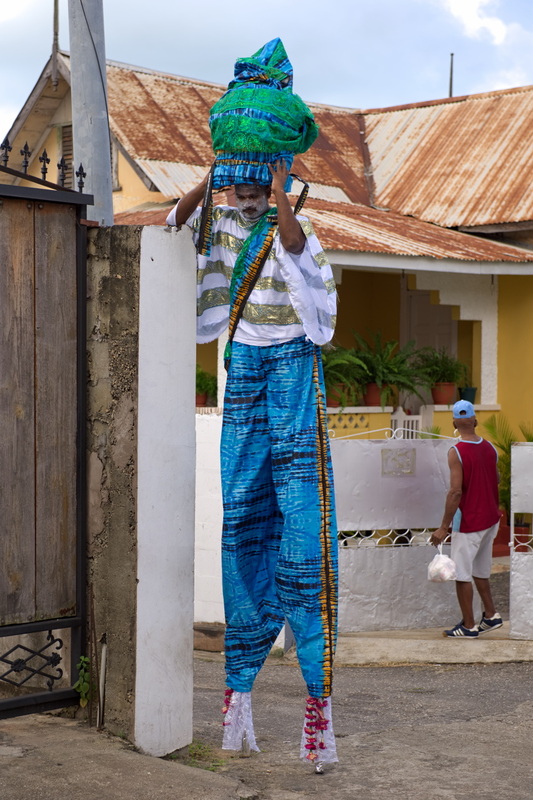 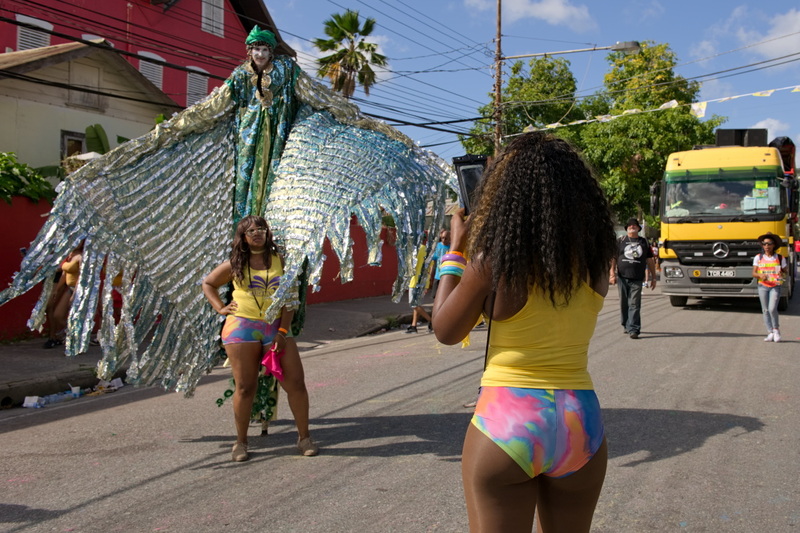 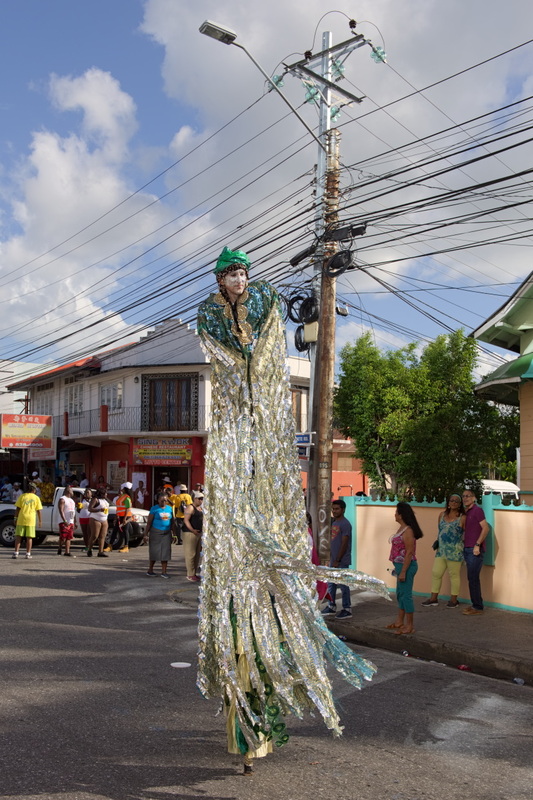 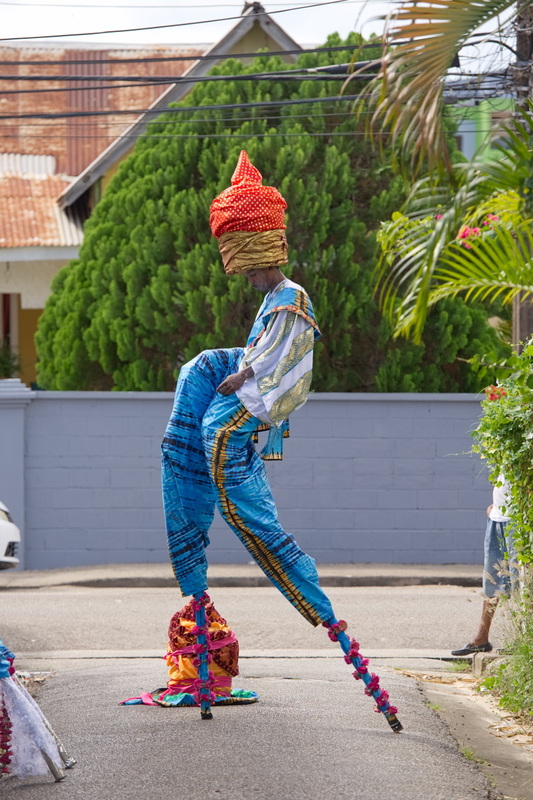 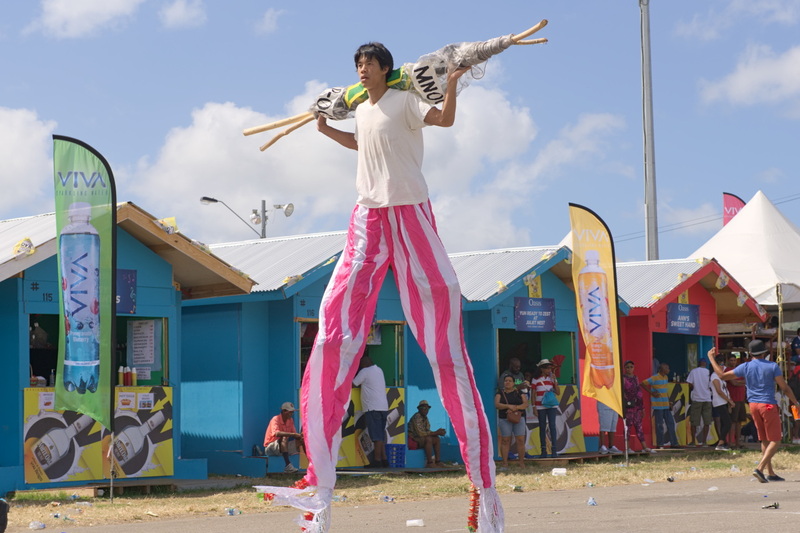 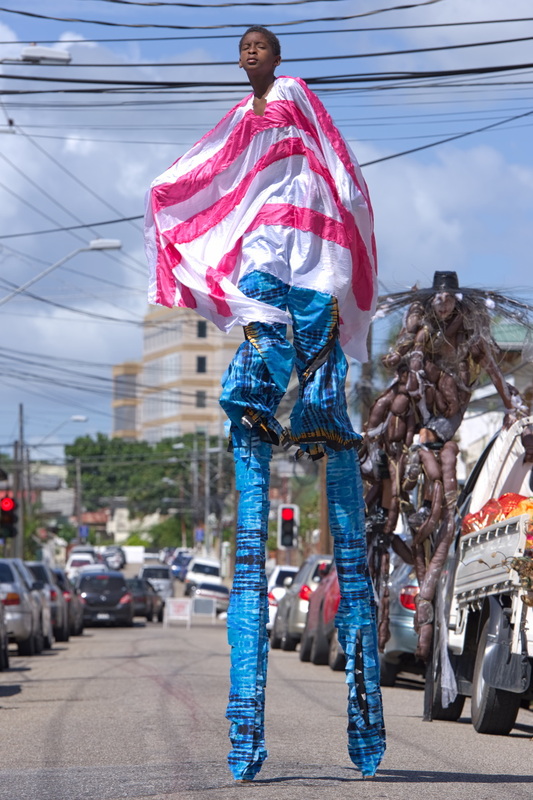 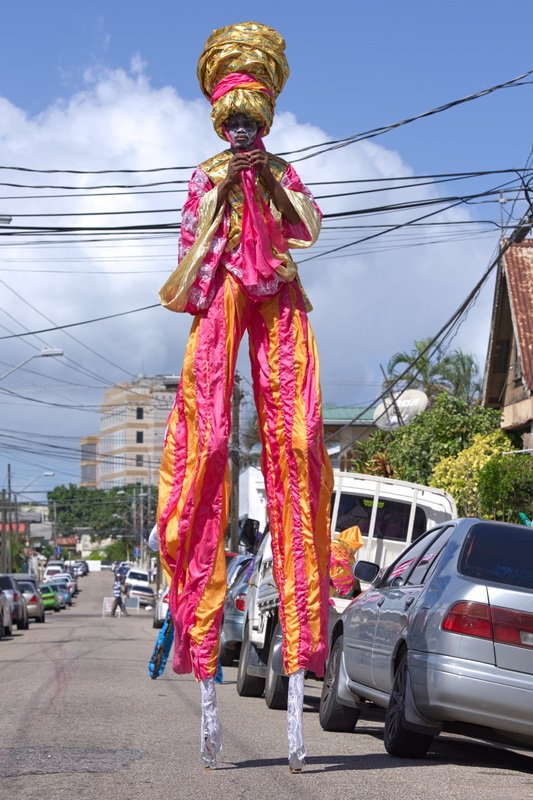 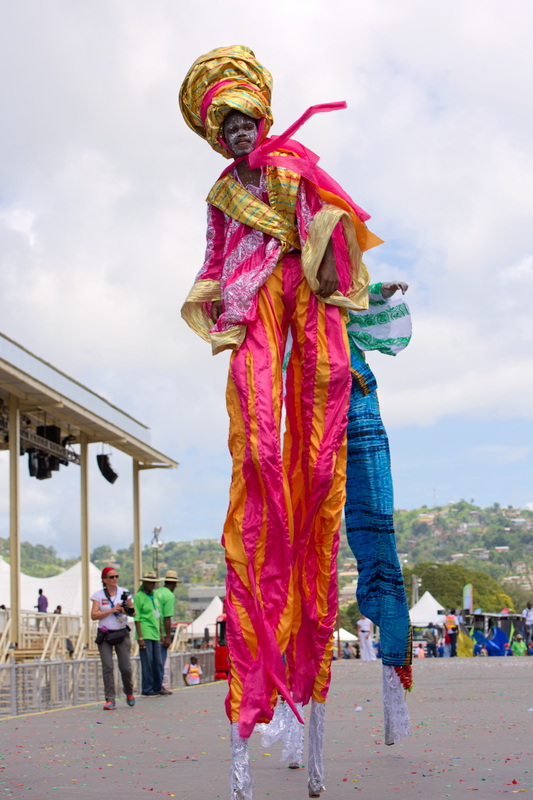 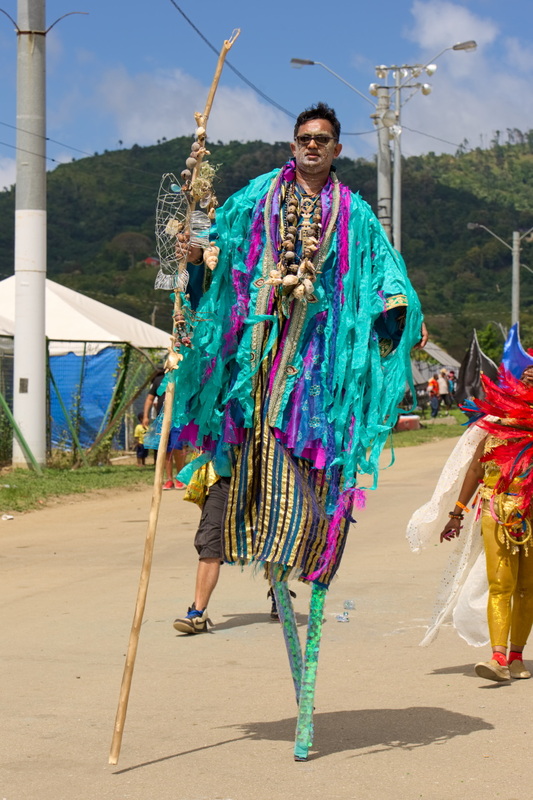 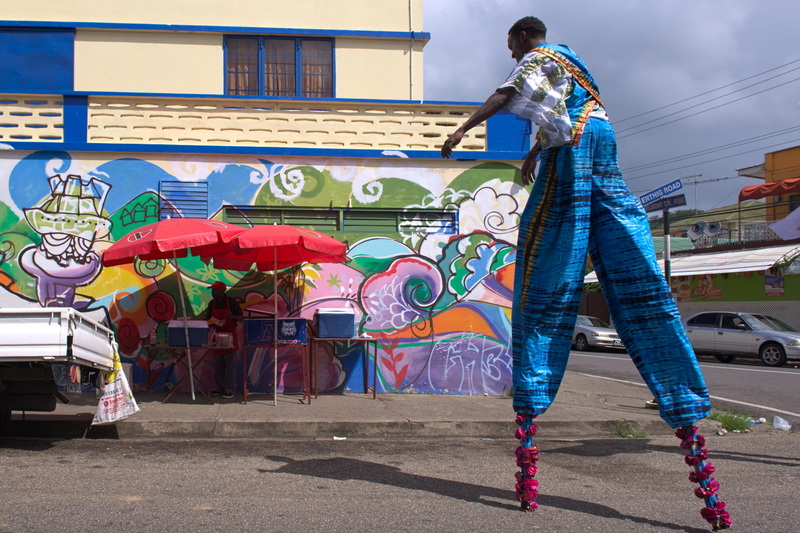 Across both Carnival Monday and Tuesday, the stiltwalkers will come to include (in alphabetical order): Damir Ali; Daniel Bascombe; Alexei Chang Kit; Kriston Chen; Shervon Clarke; Lester Doodnath; ‘Jada’; Joel Joseph; Brother Jumbie (Adriel Asseveiro); Daddy Jumbie (Adrian Young); Doctor Jumbie (Windsor Frederick); Future Jumbies (Jab Jab Jumbie and Sun Sun); Veynu Siewrattan; Hakim Sherry; and Alan Vaughan himself. 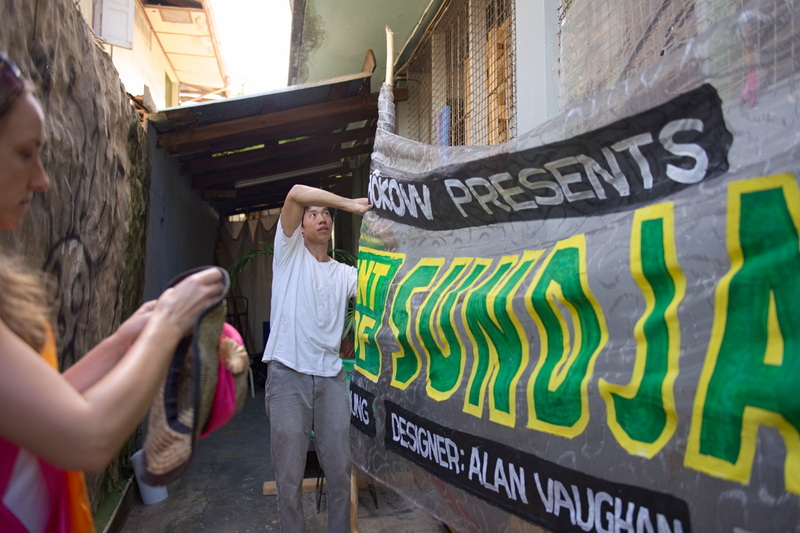 The support crew will consist: Catherine Chang Kit; Akilah E-R; Skye Hernandez; and Josh Lue Chee Kong. 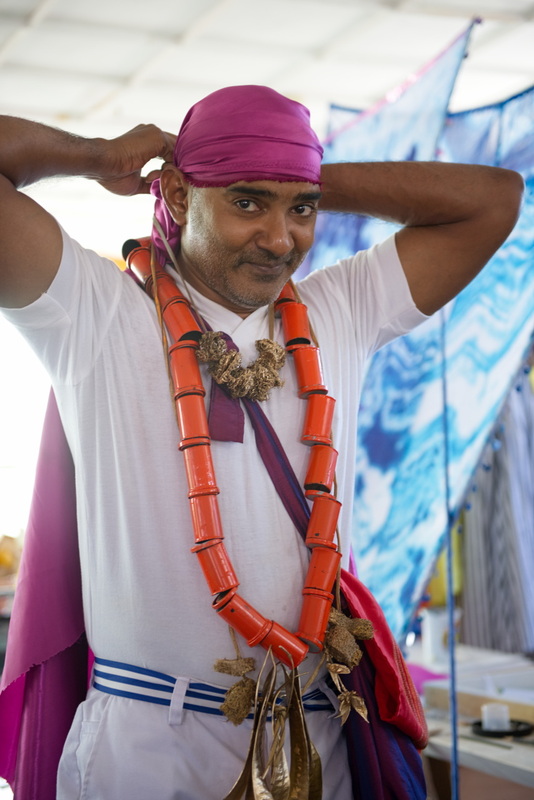 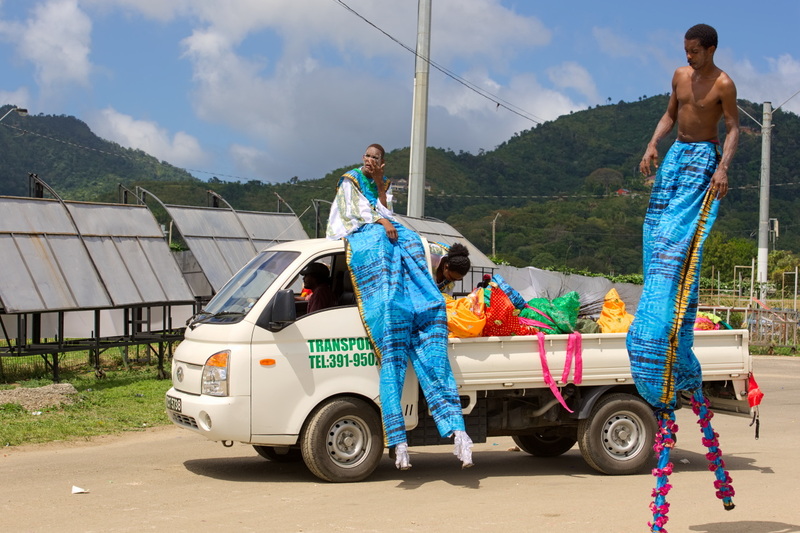 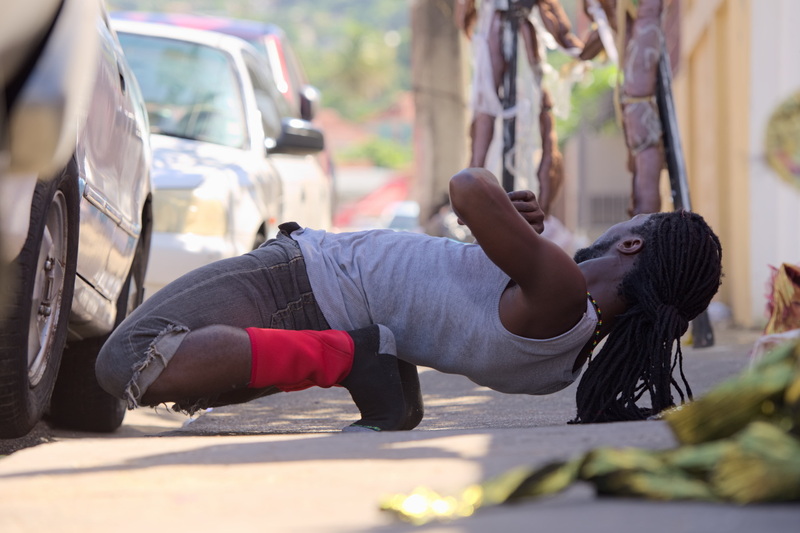 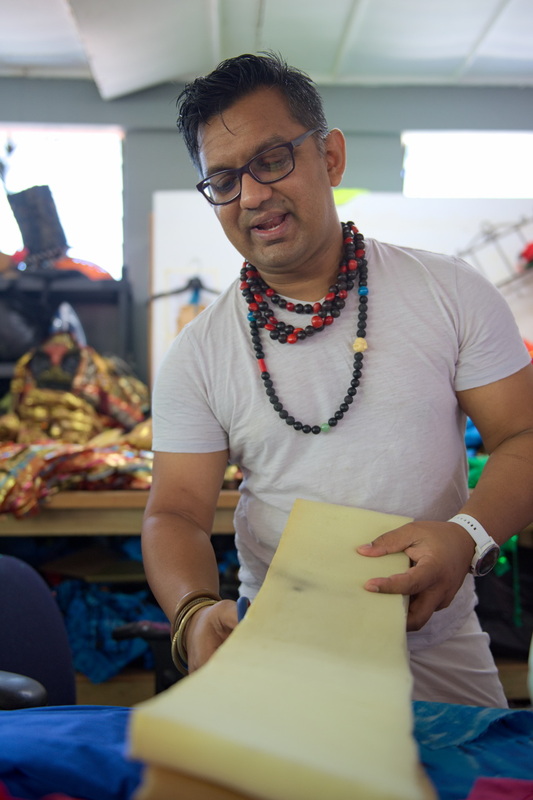 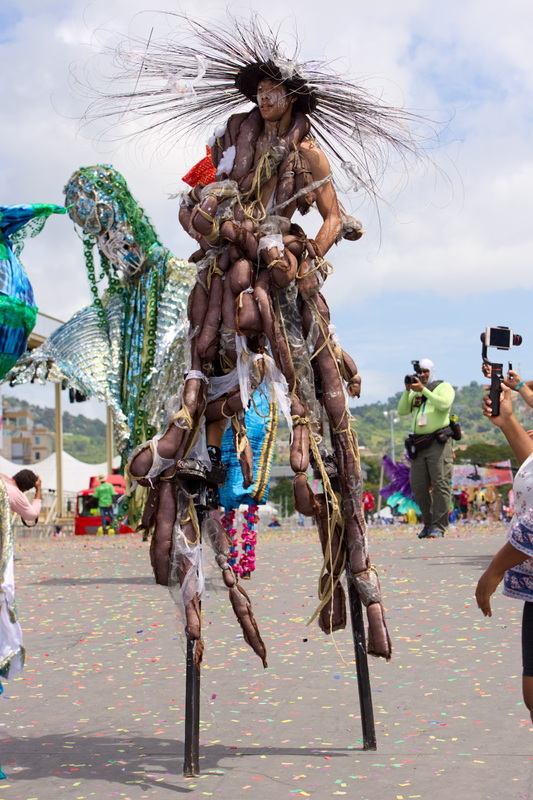 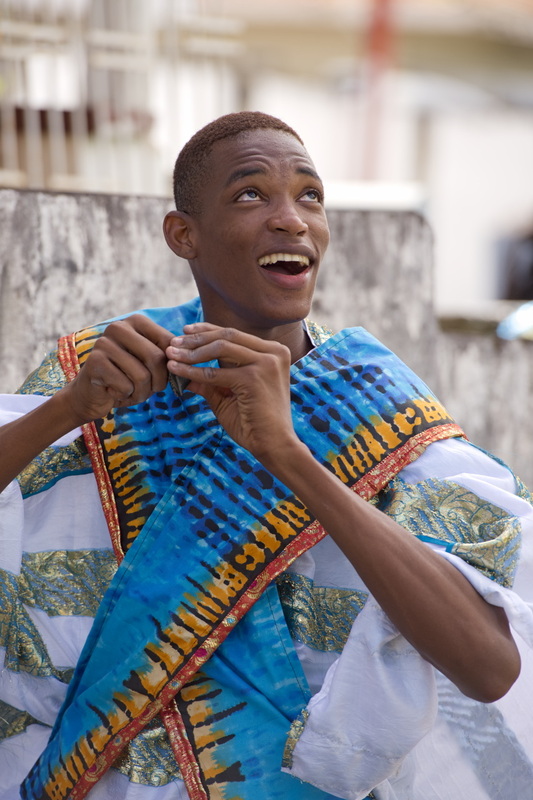 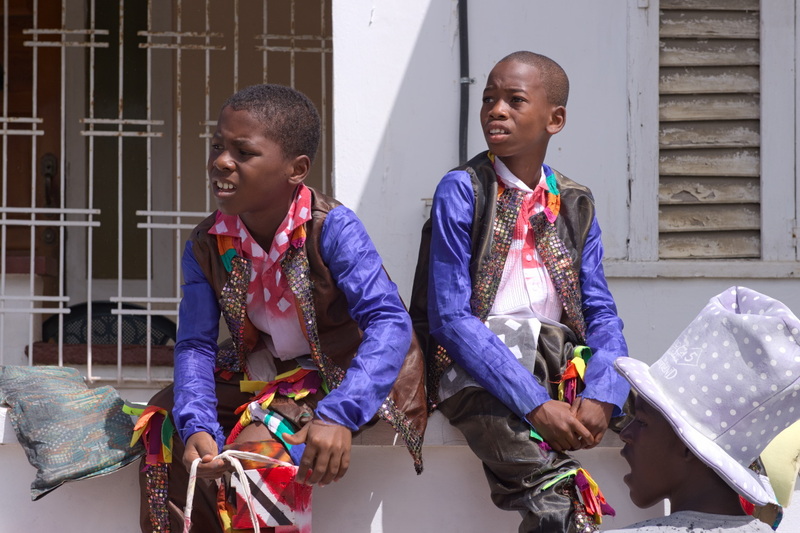 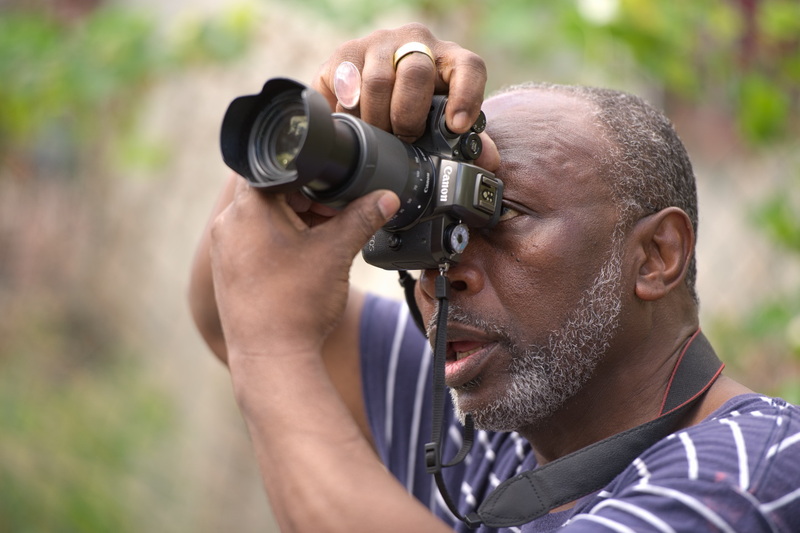 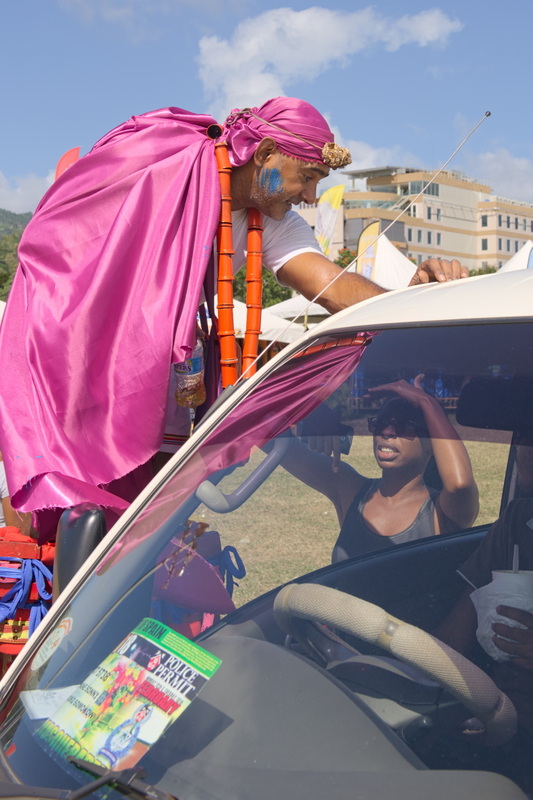 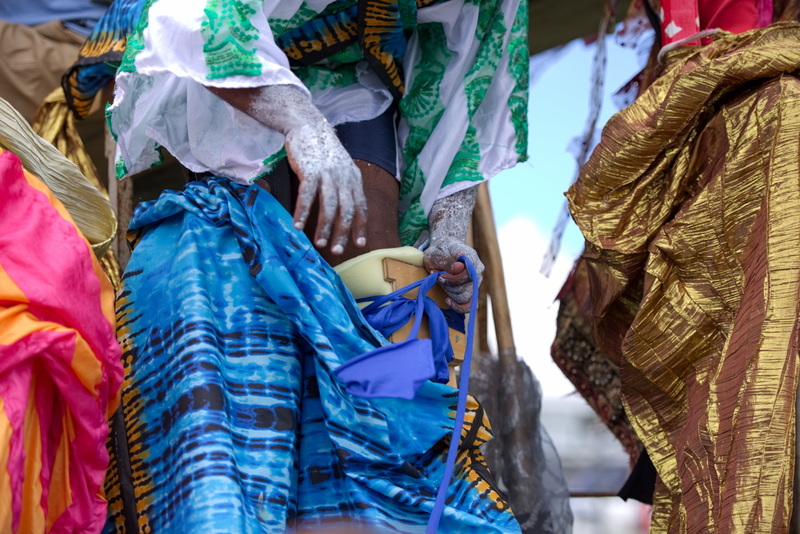 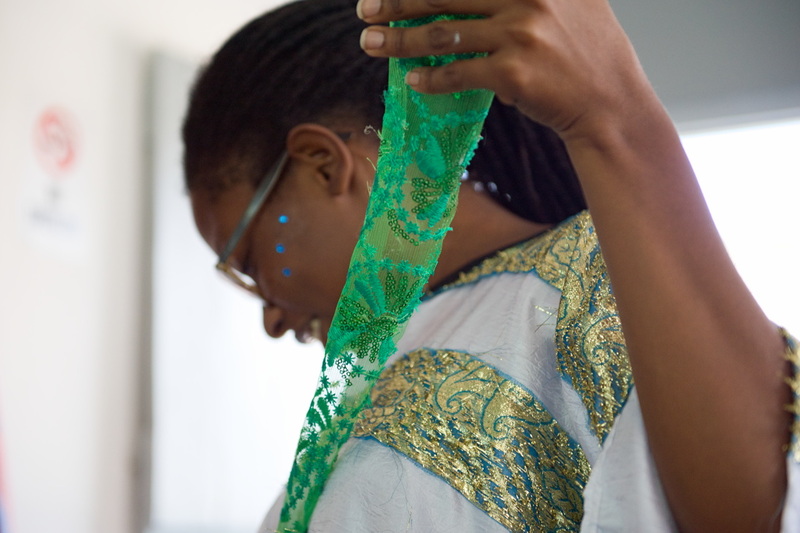 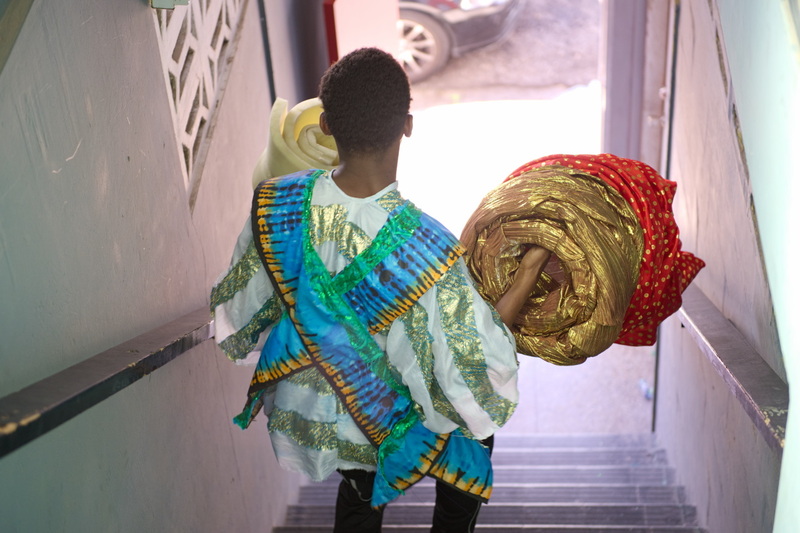 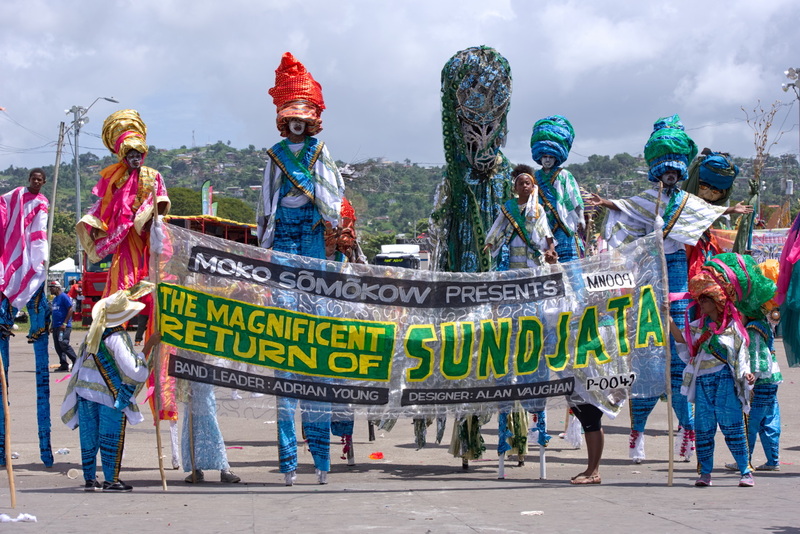 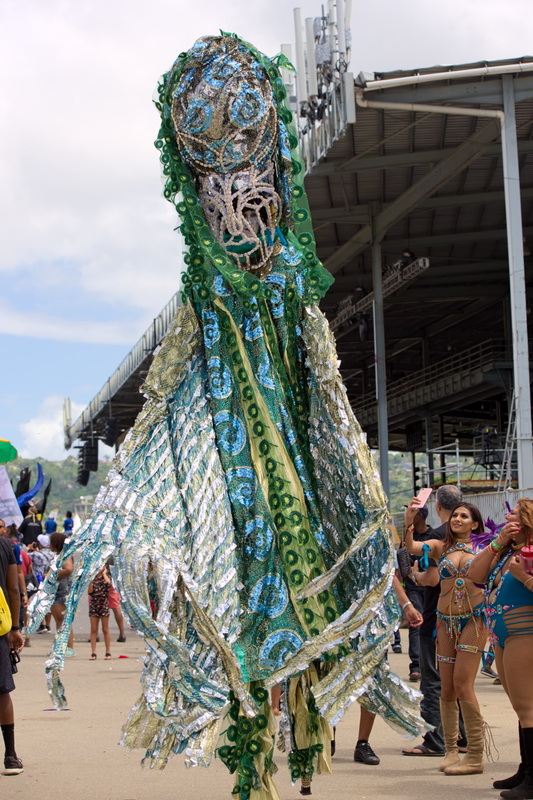 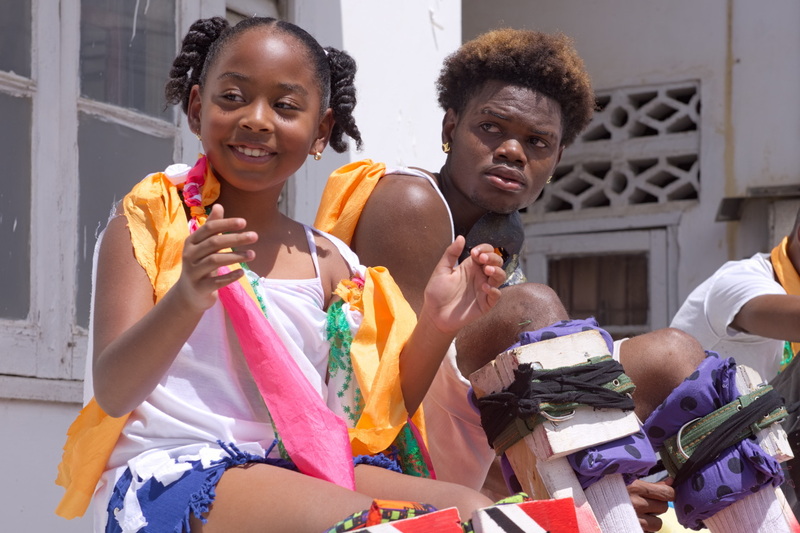 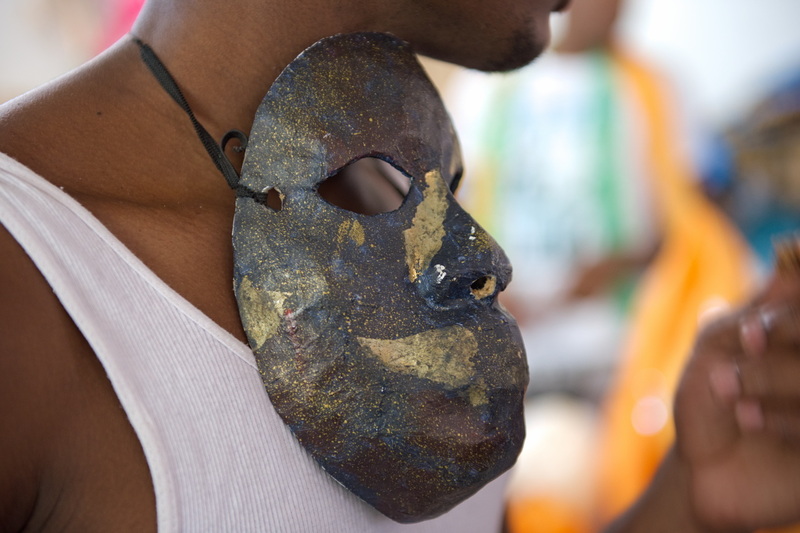 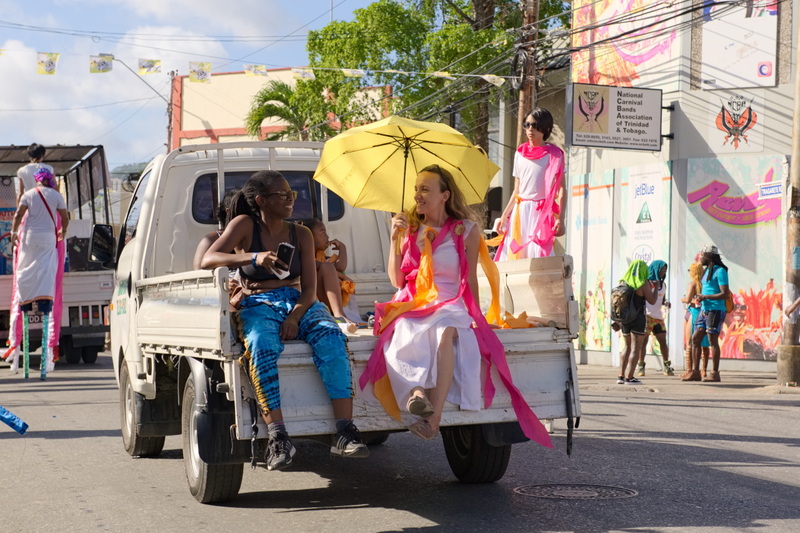 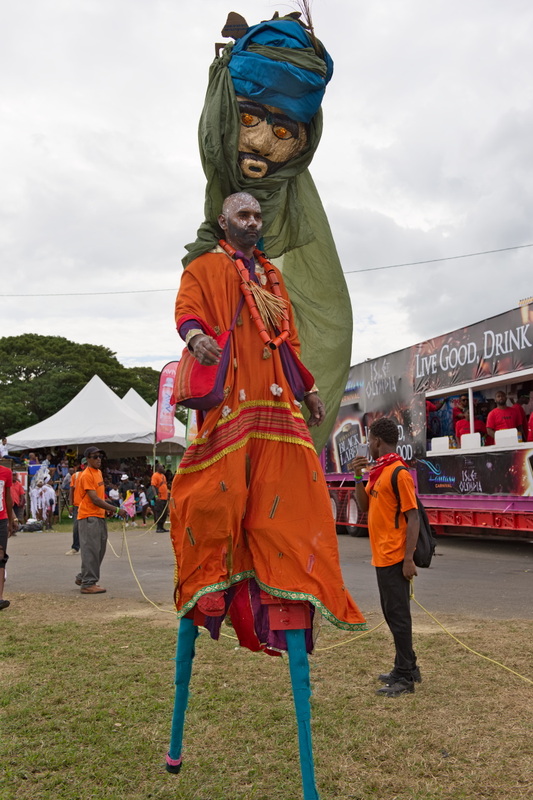 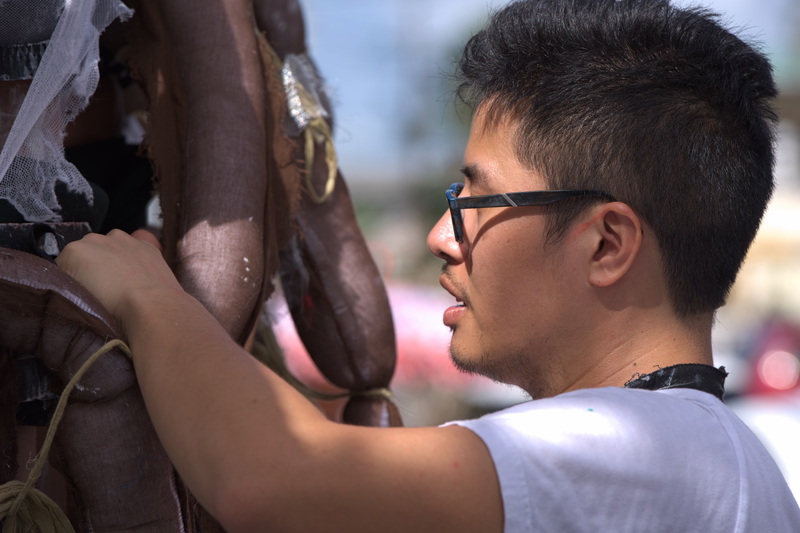 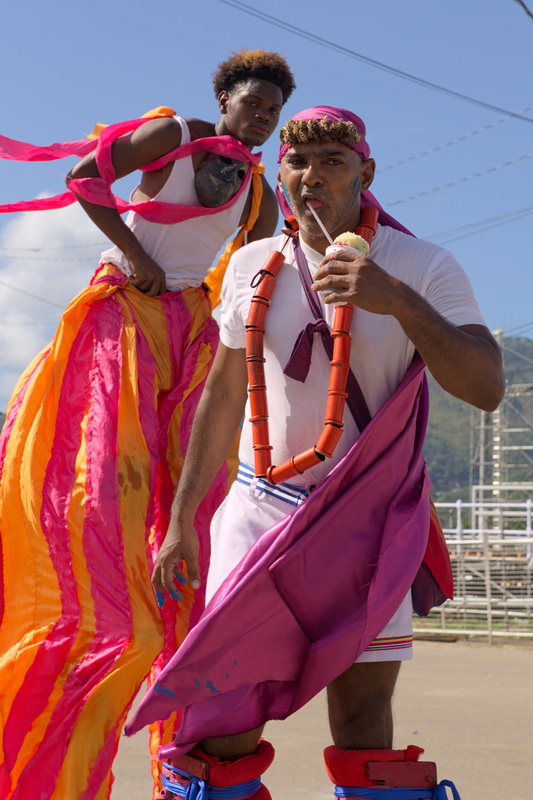 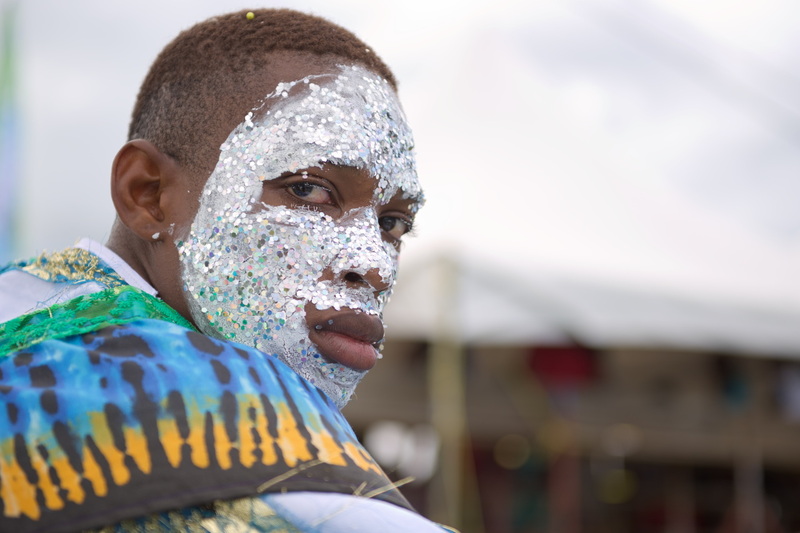 By the end of the 2018 Trinidad and Tobago Carnival, ‘Moko Somõkõw: The Magnificent Return of Sunjata’ would go on to win fourth place overall in their category of competition. 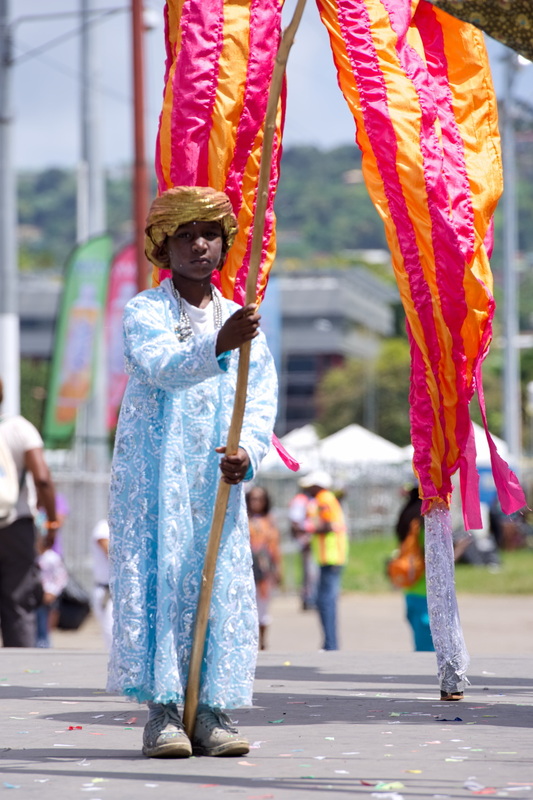 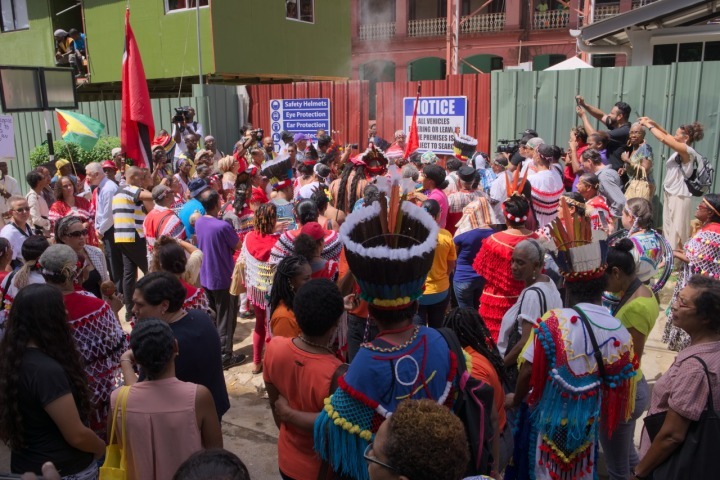 'The Launch of Trinidad and Tobago Carnival 2019', published on 30th October, 2018. 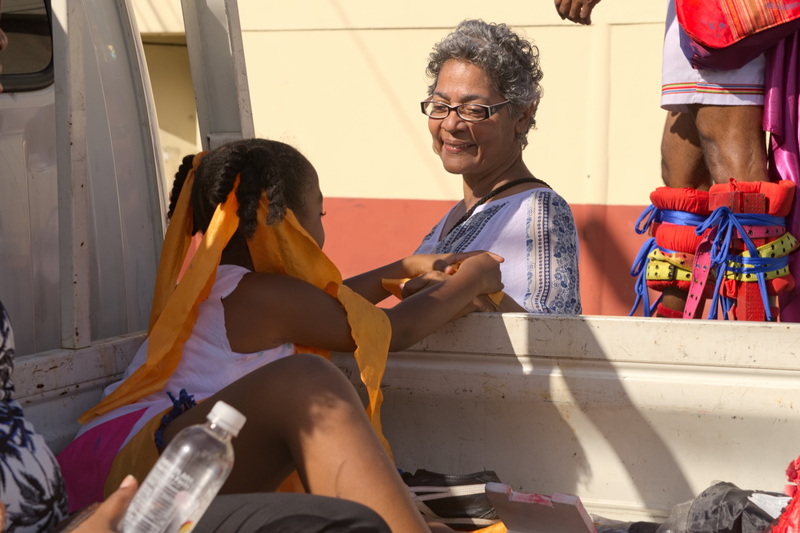 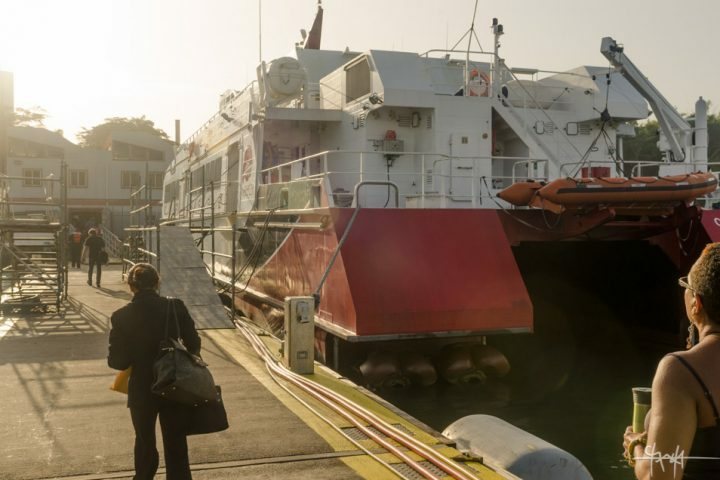 On board the Port of Spain / San Fernando Water Taxi with journalist, Martine Powers of Bad Drive Trinidad. 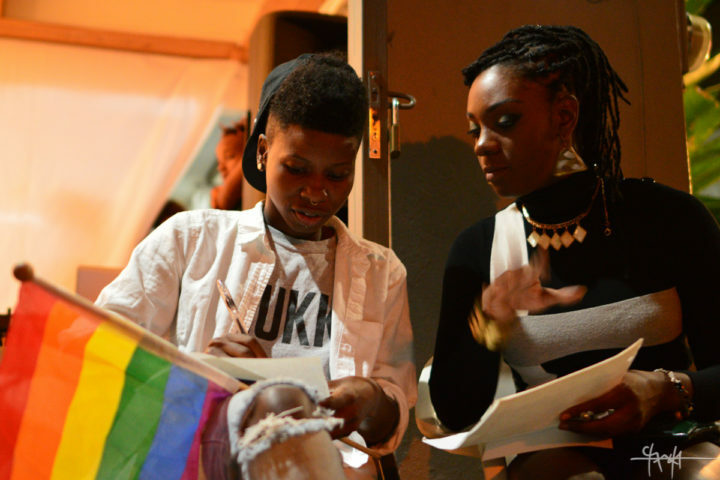 Organised by I am One TnT, ‘The King Show’ was a drag-king pageant held at Alice Yard, Woodbrook, on June 17th, 2016.